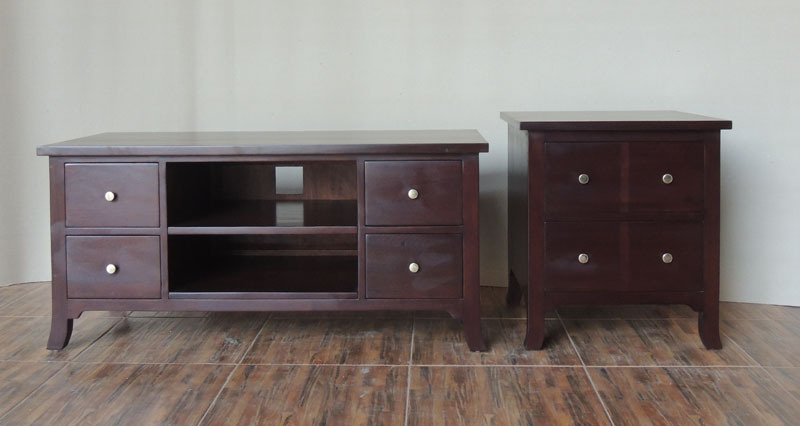 Struggling to find the right sized piece of furniture for your room? 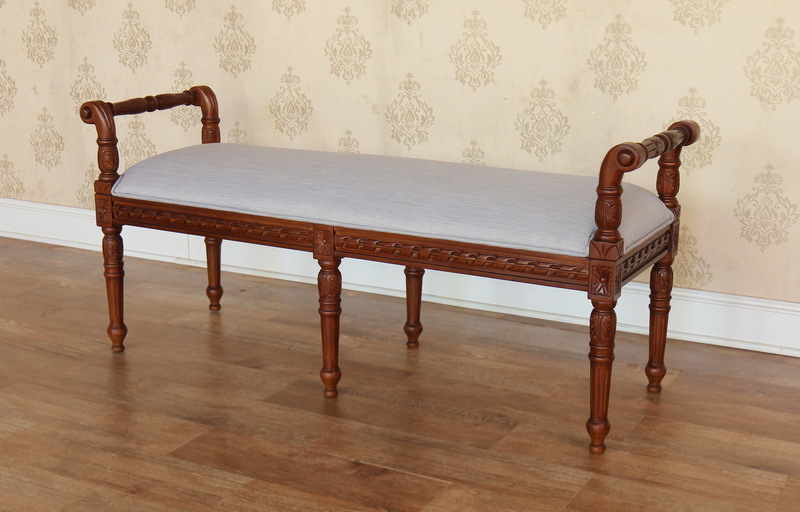 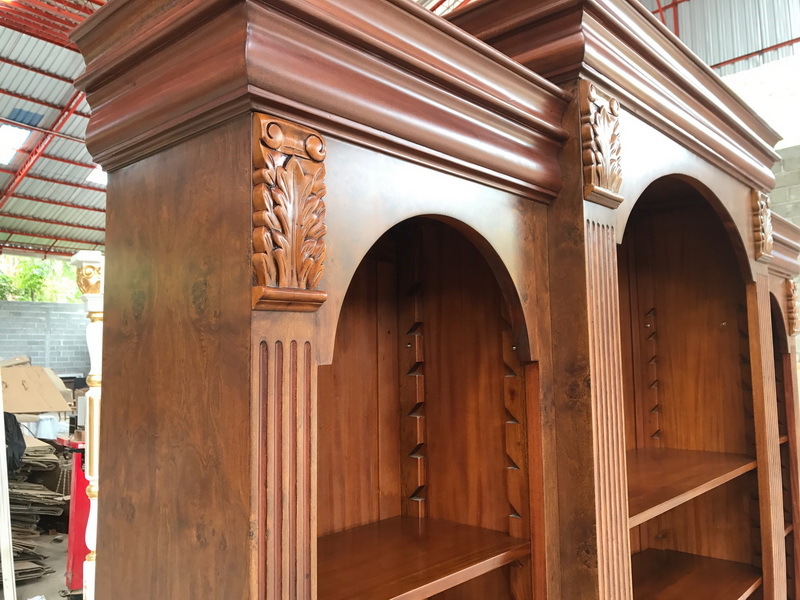 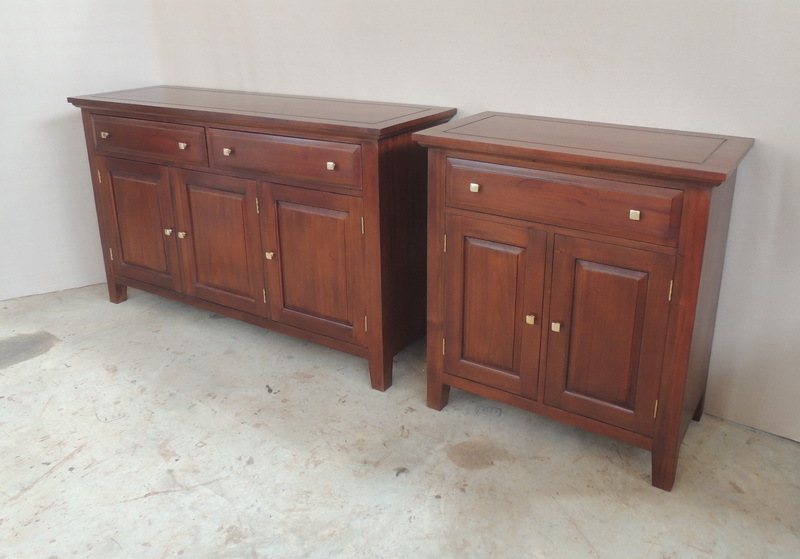 We can help solve your problem with our bespoke furniture service for furniture made from solid mahogany. 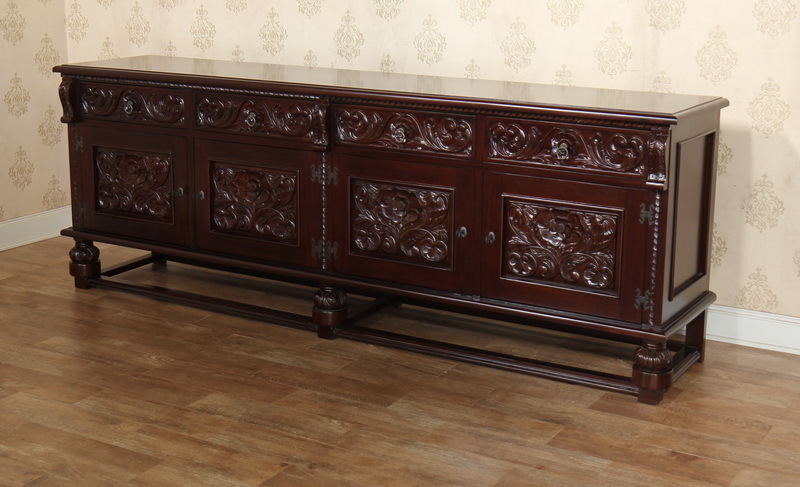 This can also include modifications to the size and design for any of the items shown in our existing range of furniture. 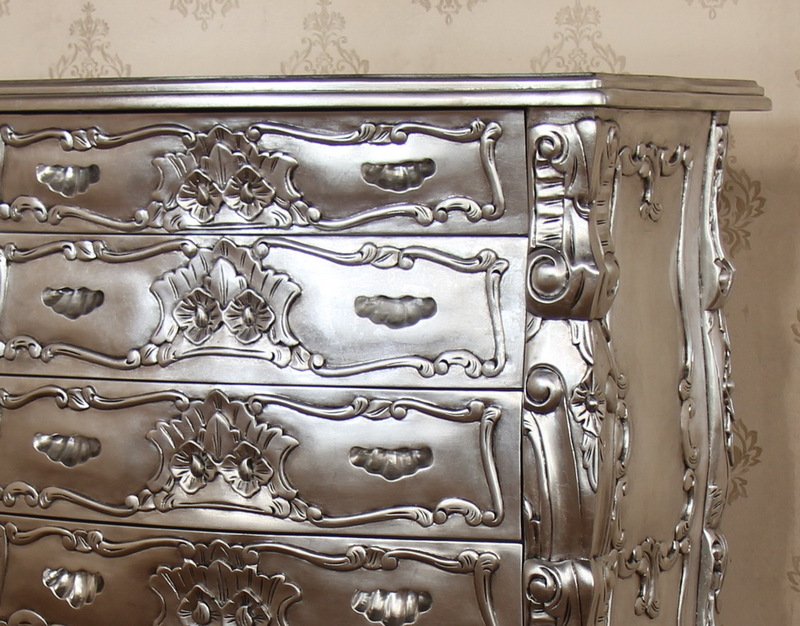 Save yourself the time and stress looking for the perfect piece with our bespoke service. 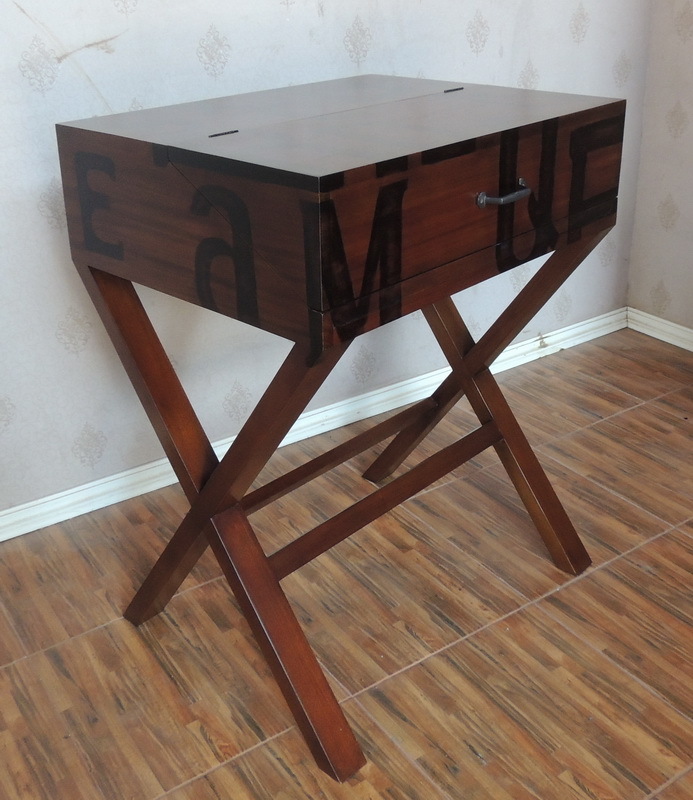 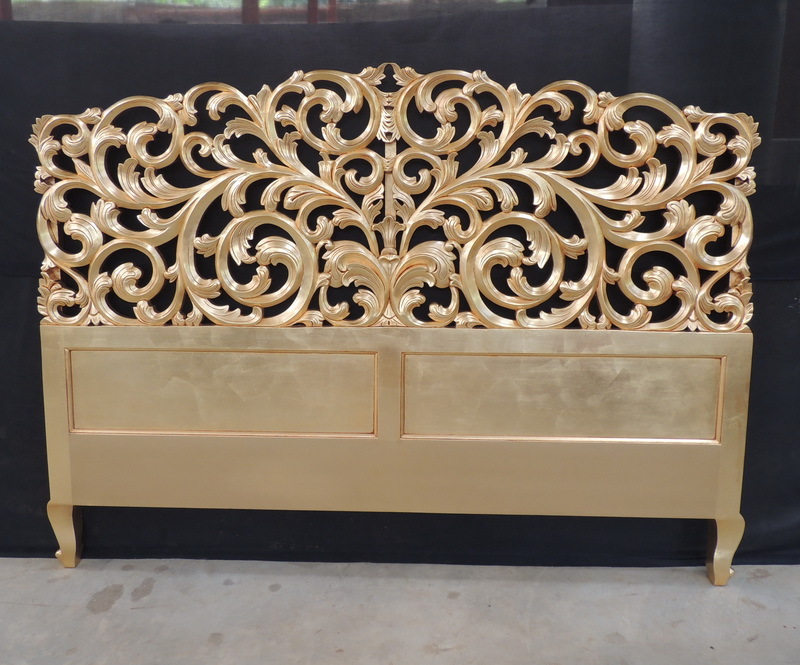 We will create furniture made to your requirements and design. 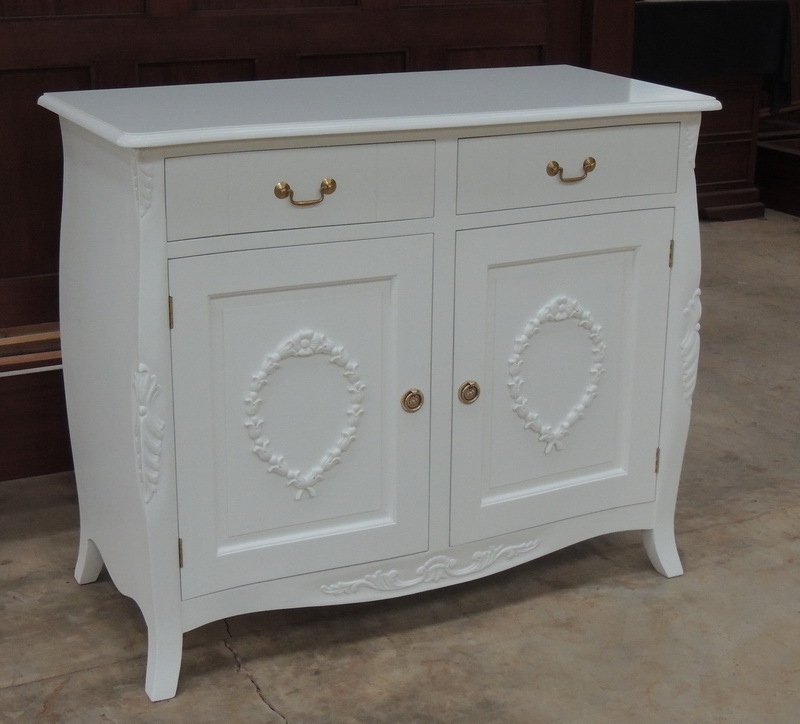 For examples of some of the bespoke furniture that we have supplied in the past, please see our Bespoke Gallery below. 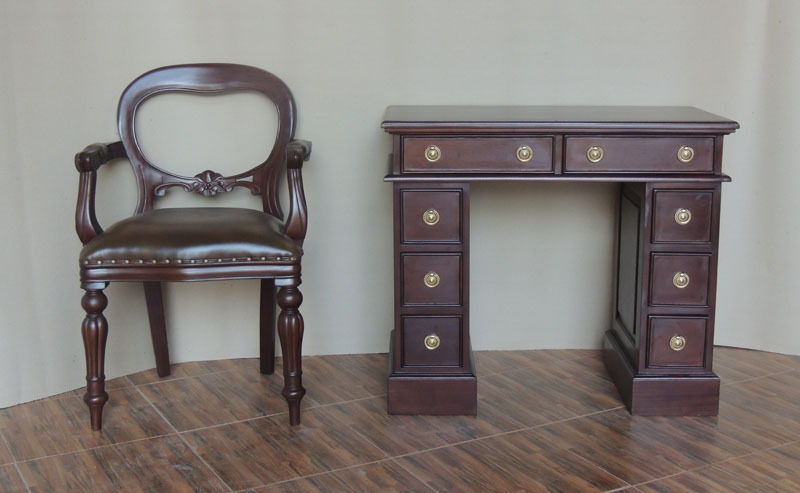 All of these items shown are available to order. 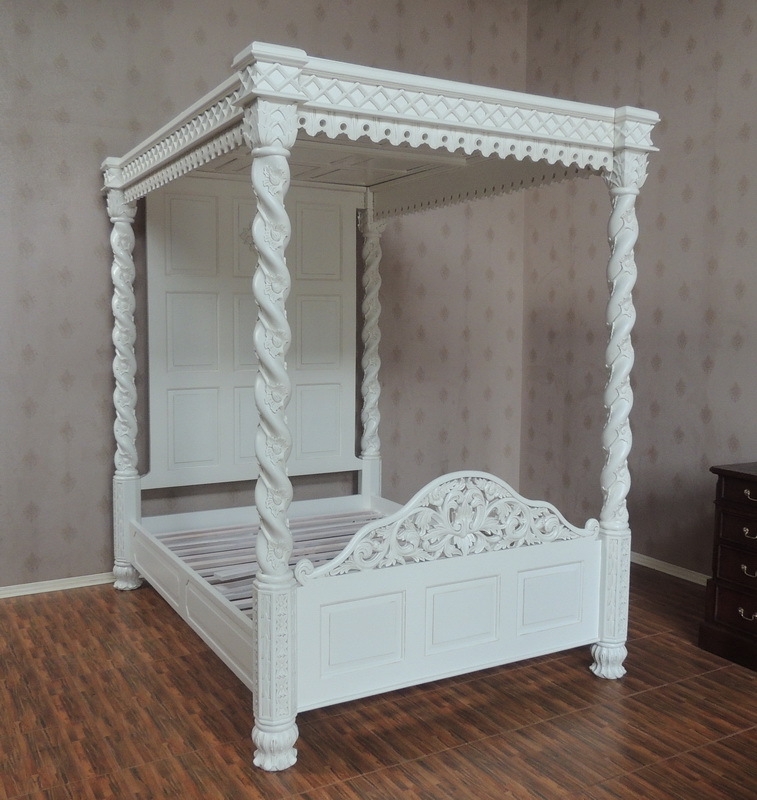 Please contact us for more information or to discuss your bespoke requirements. 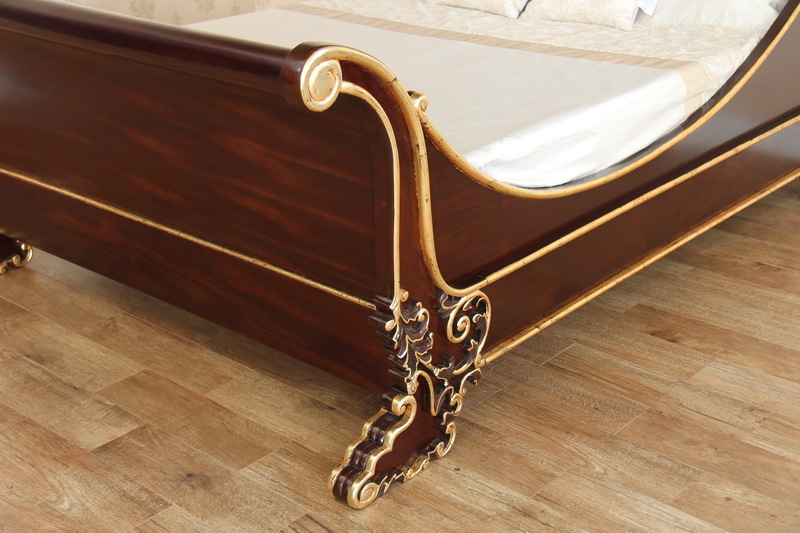 When we receive a bespoke enquiry we send our supplier the design details including the required dimensions and any diagrams or images that have been provided. 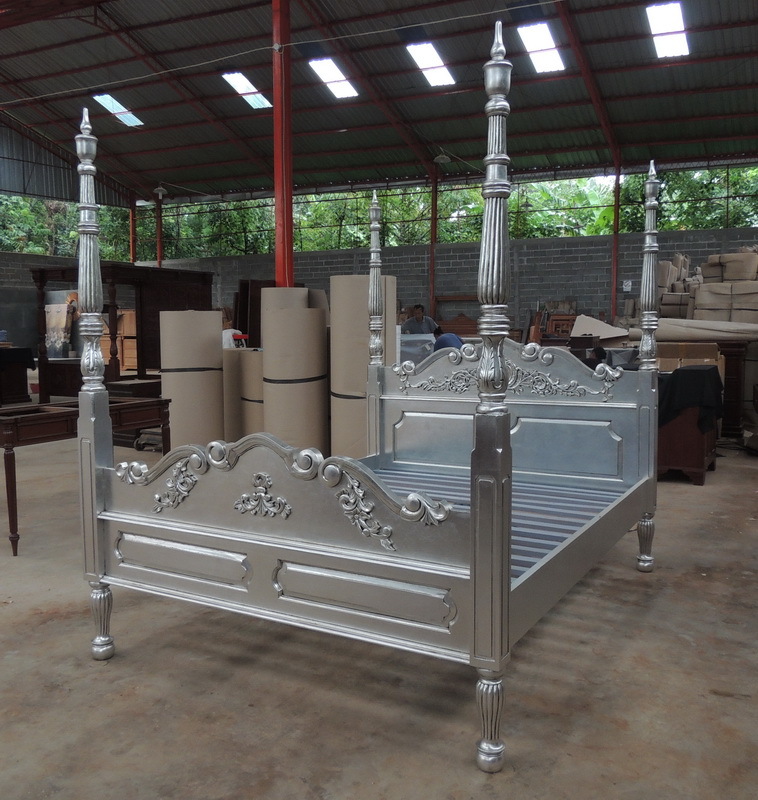 Within a few days,our supplier will issue us with a quote and a lead time based on your requirements. 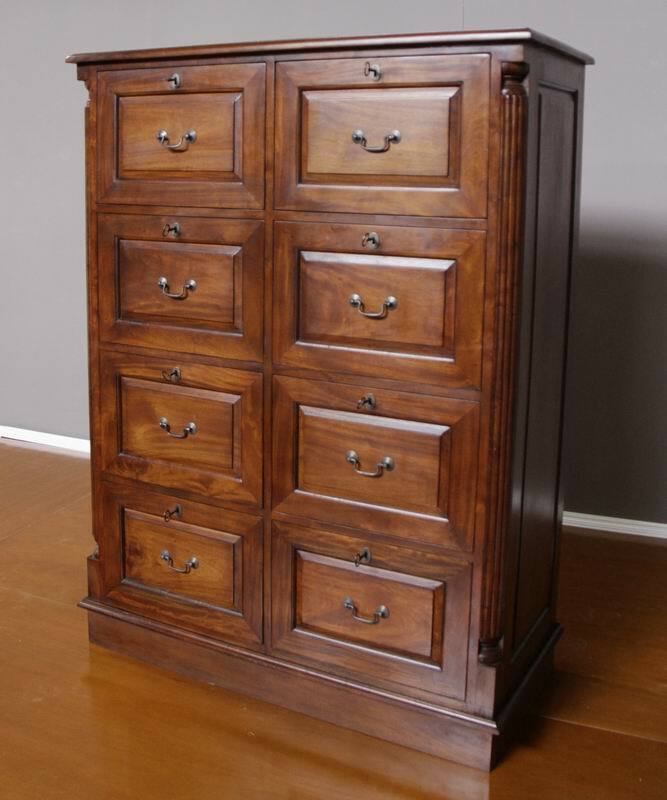 We will then provide you with a quote and diagrams detailing the dimensions of the bespoke furniture. 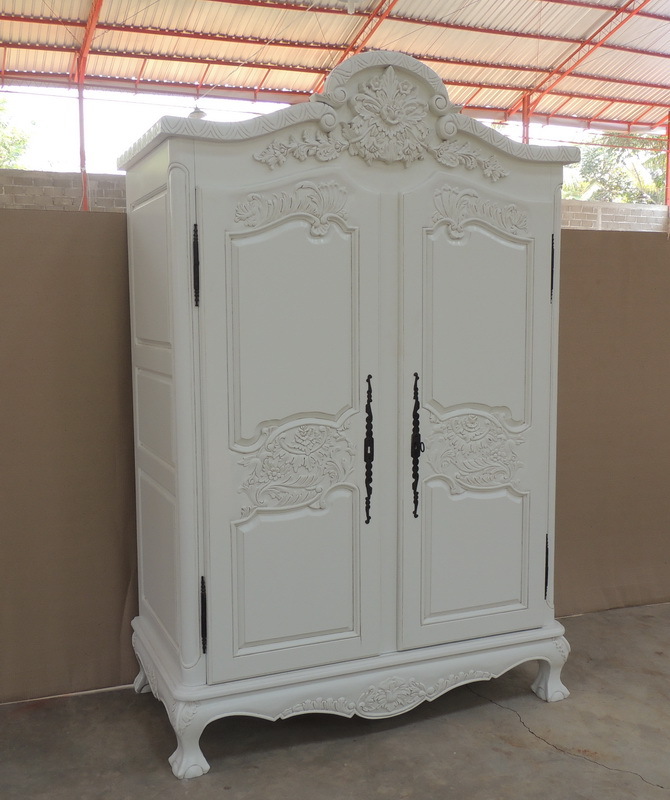 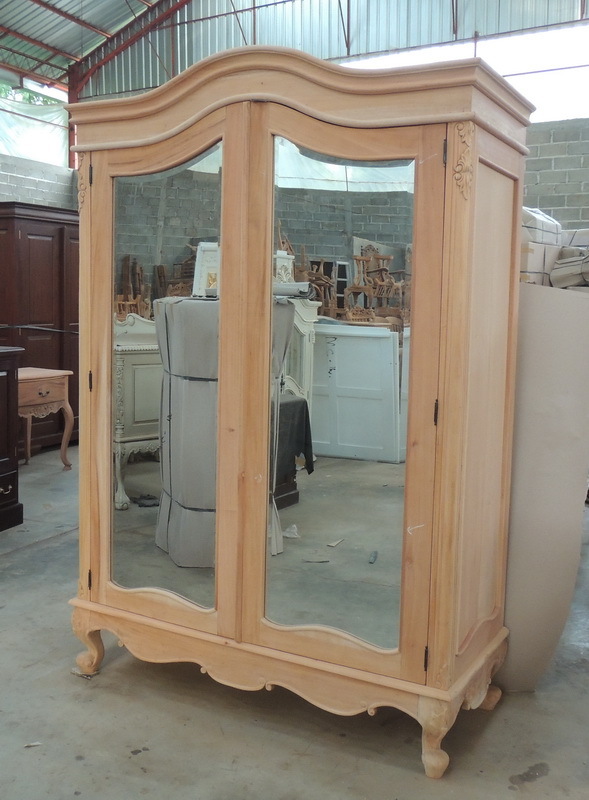 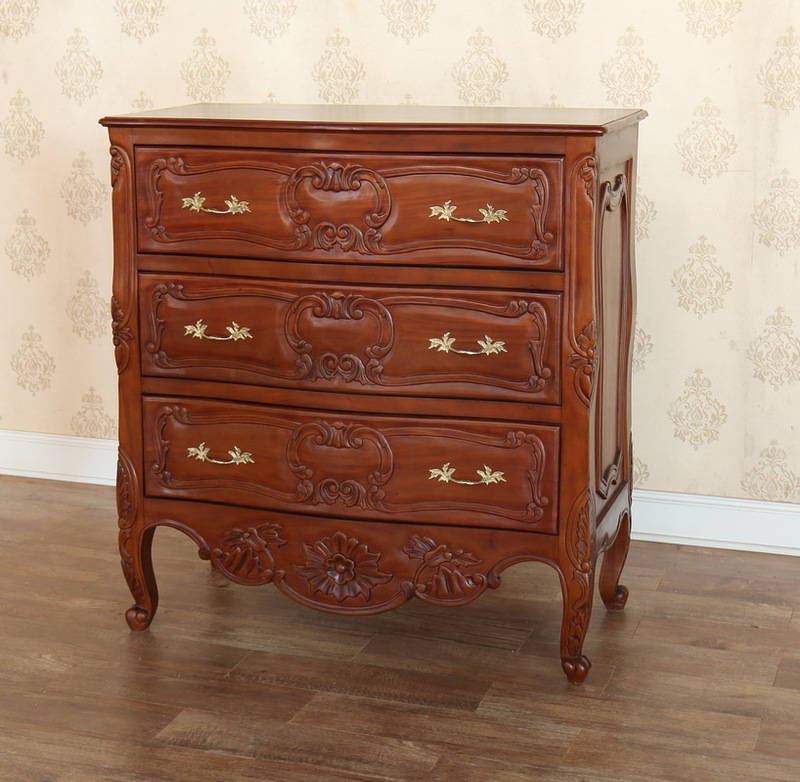 Images of your furniture will be provided so that you are able to see how it will look before it arrives. 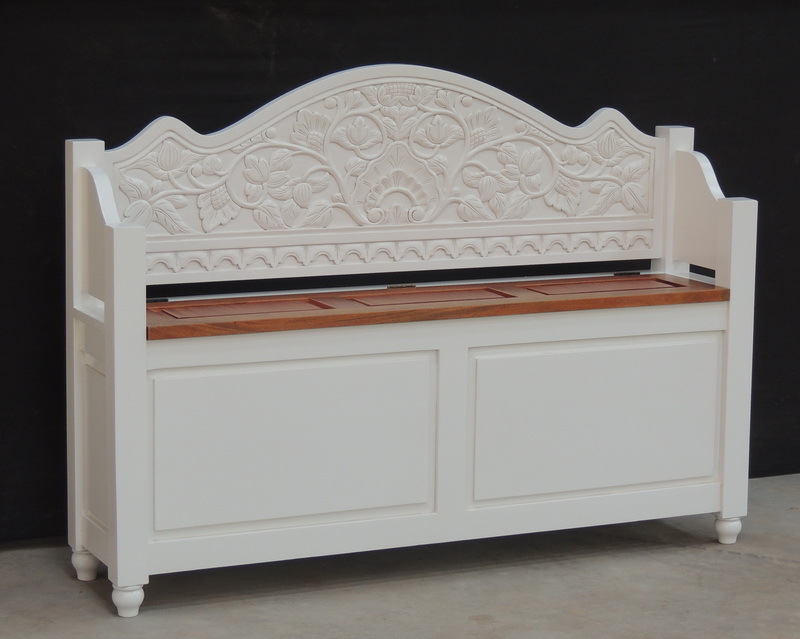 The approximate lead time for bespoke furniture is 10-14 weeks. 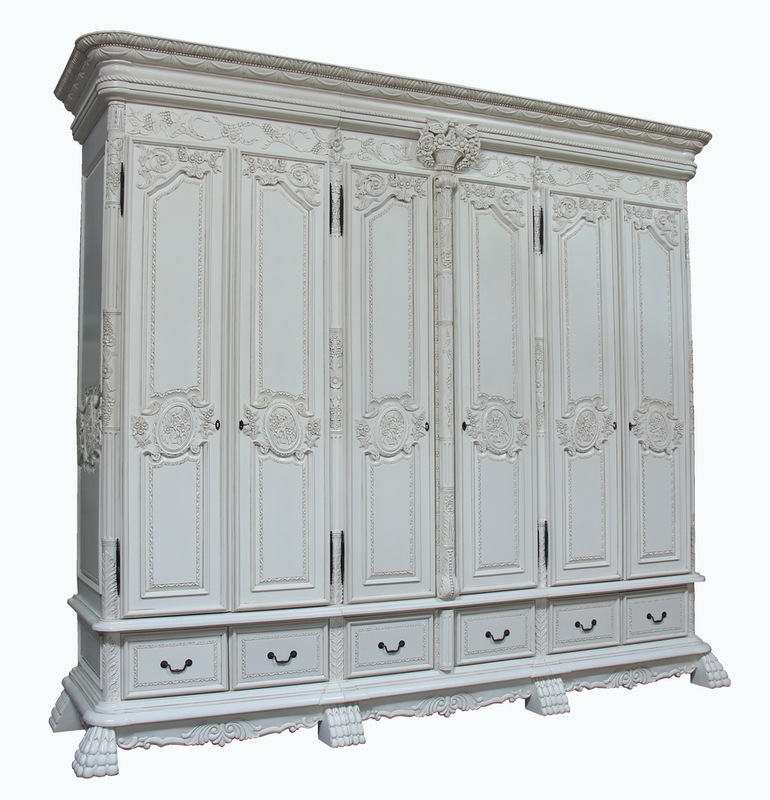 If alterations are made during the process it may take a little longer. 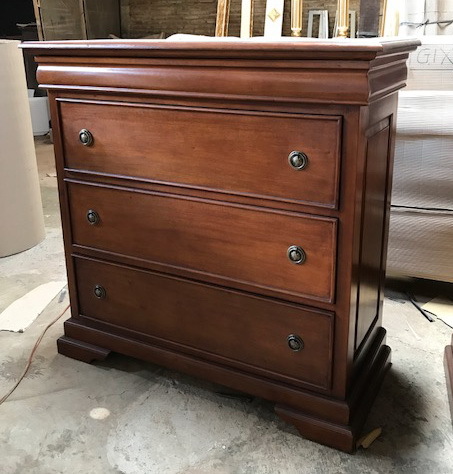 Concerned it will be much more expensive than a standard item? 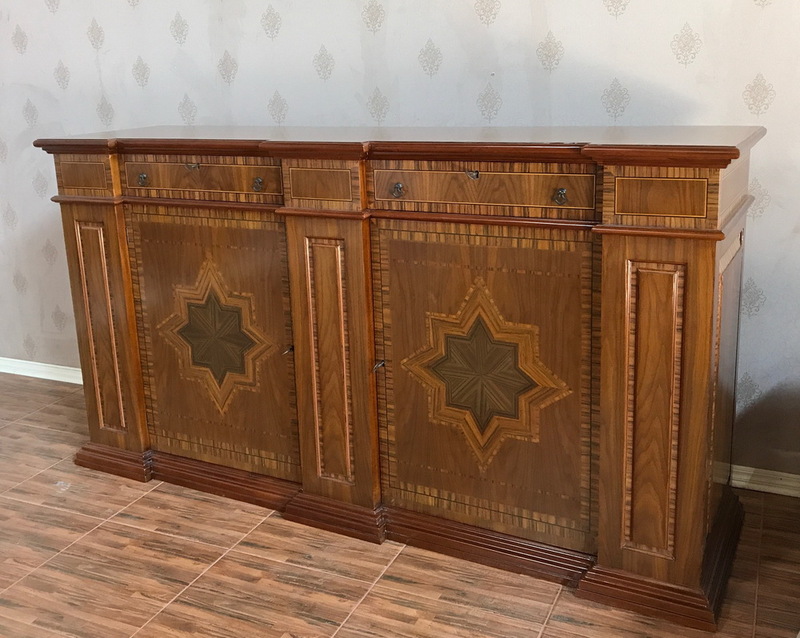 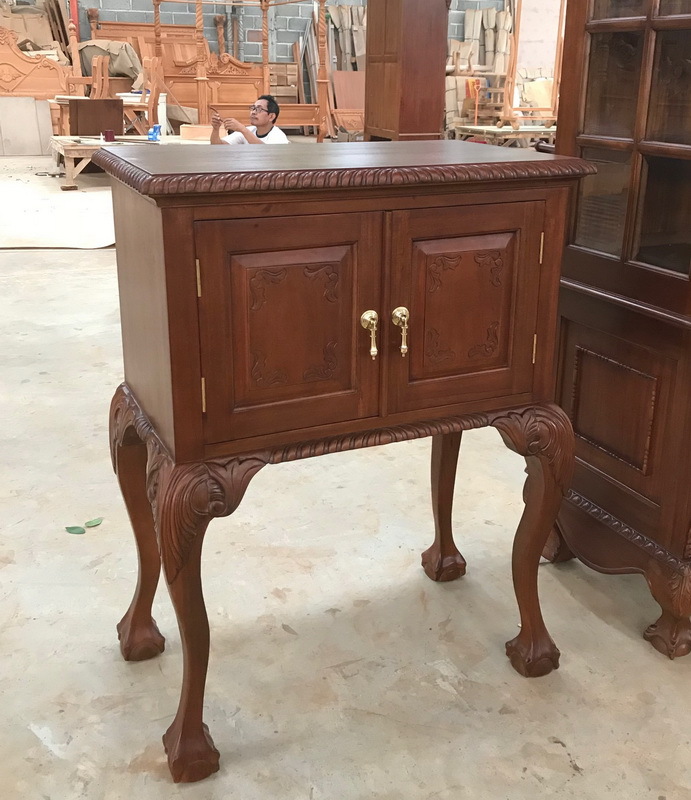 Bespoke furniture is a little more expensive than standard although as a direct importer, we can still offer a keen price. 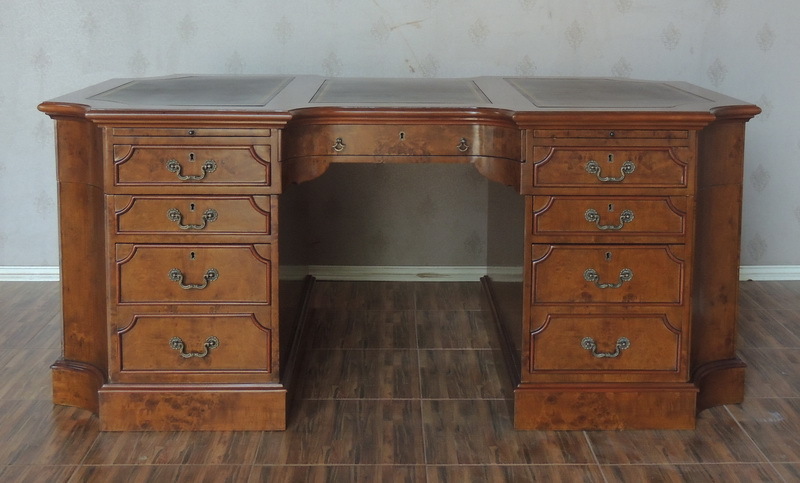 Ask for a quote, you may be surprised! 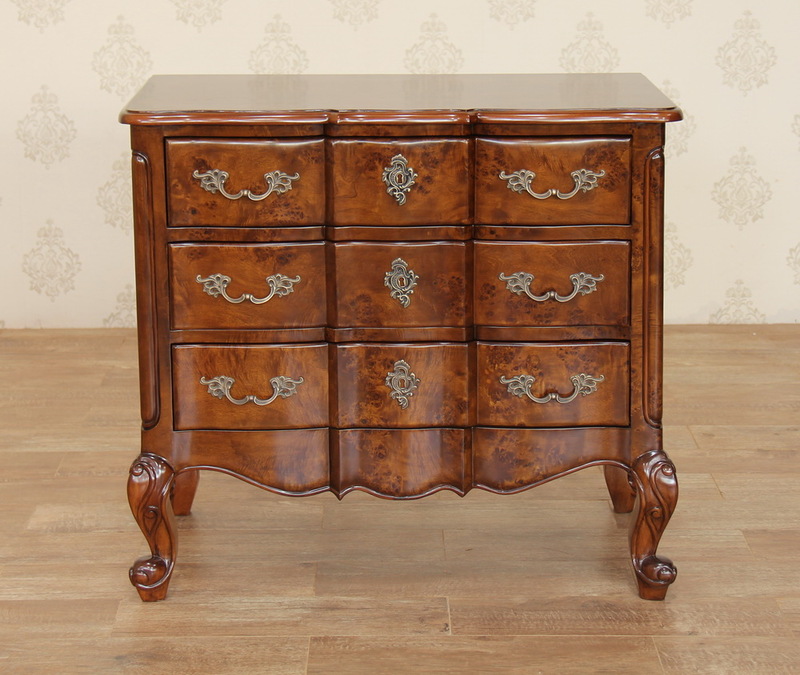 *Currently we cannot offer a bespoke service for the walnut furniture. 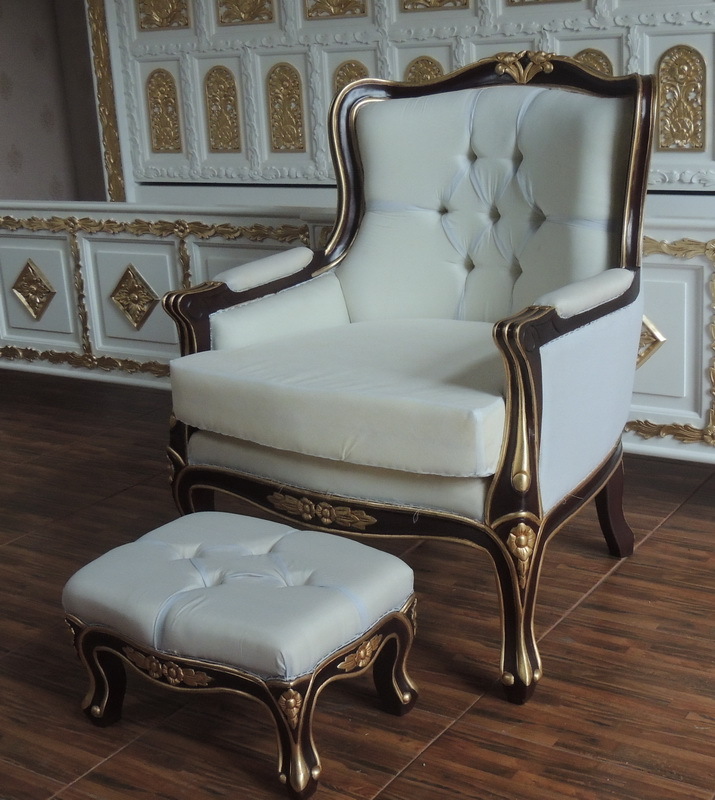 Special offers are not applicable on bespoke items. 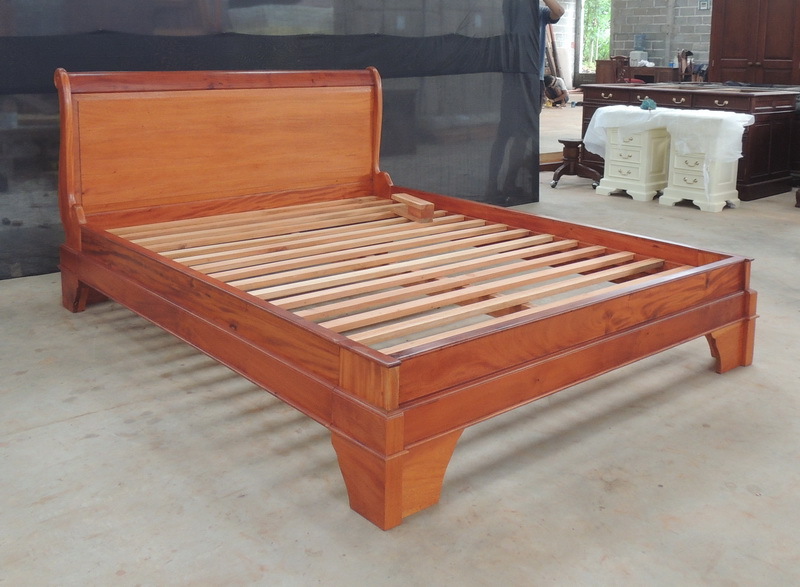 We supply beds that are made to fit standard mattress sizes of 3' single (mattress size W90cm x L190cm), 4'6" double (mattress size W135cm x L190cm), 5' king size (mattress size W150cm x L200cm) and 6' super king size (mattress size W180cm x L200cm). 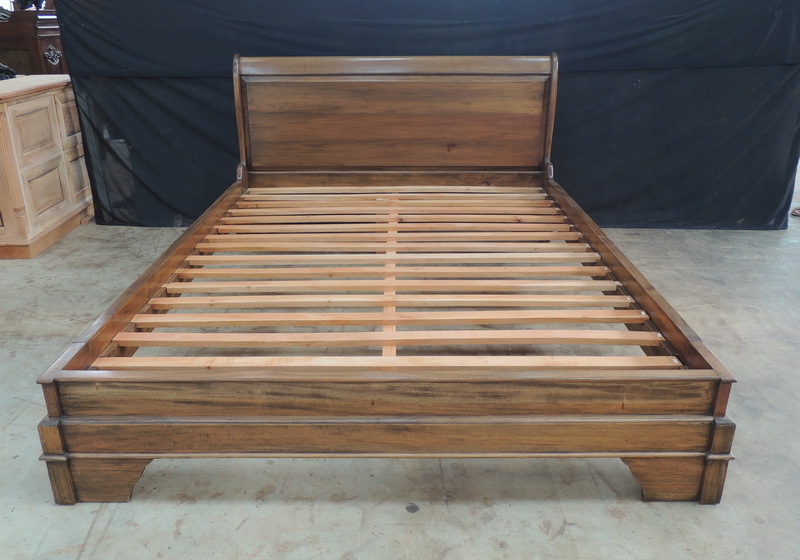 We can also supply beds in different sizes to order e.g. 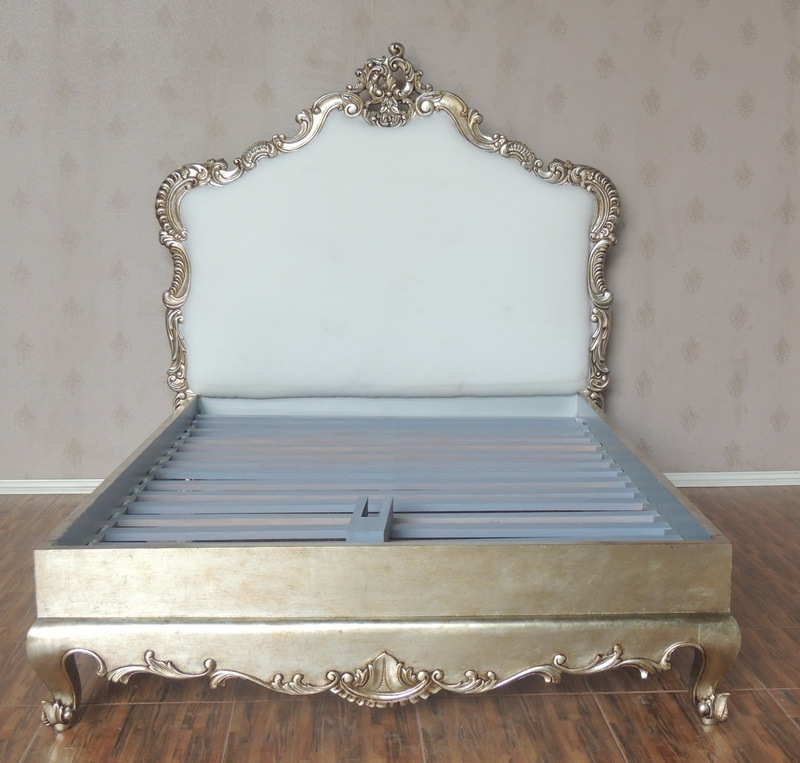 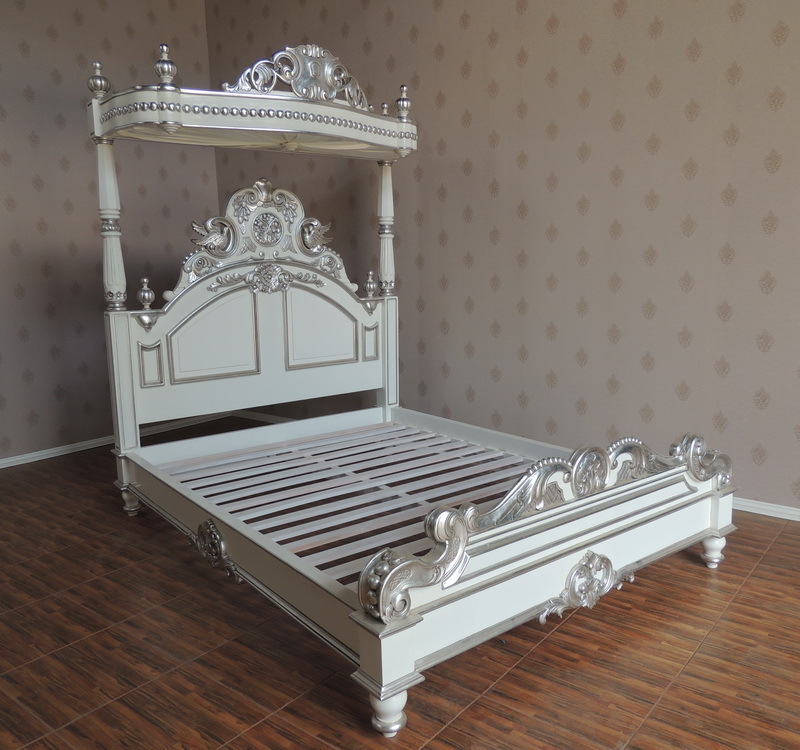 4' small double size and 7' Queen size and also 2'6" small single size. 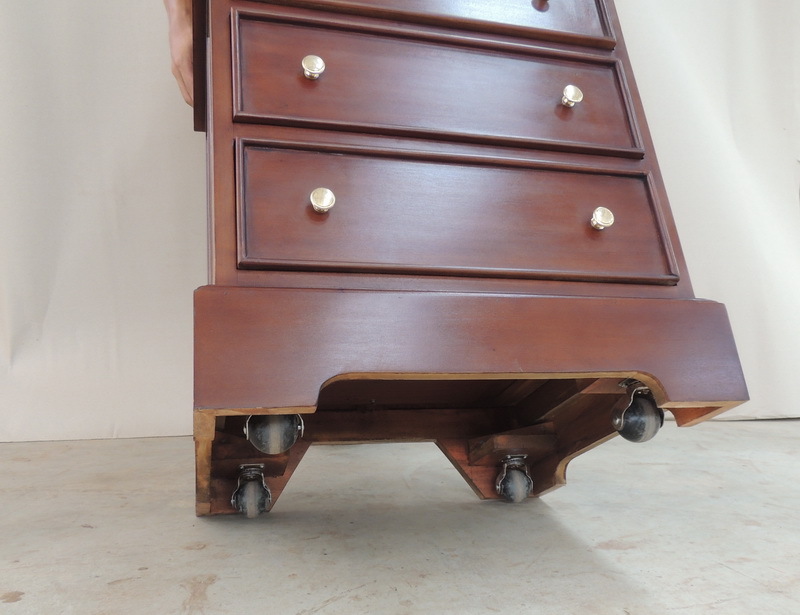 It is also possible to change the height of footboards to make them lower or higher. 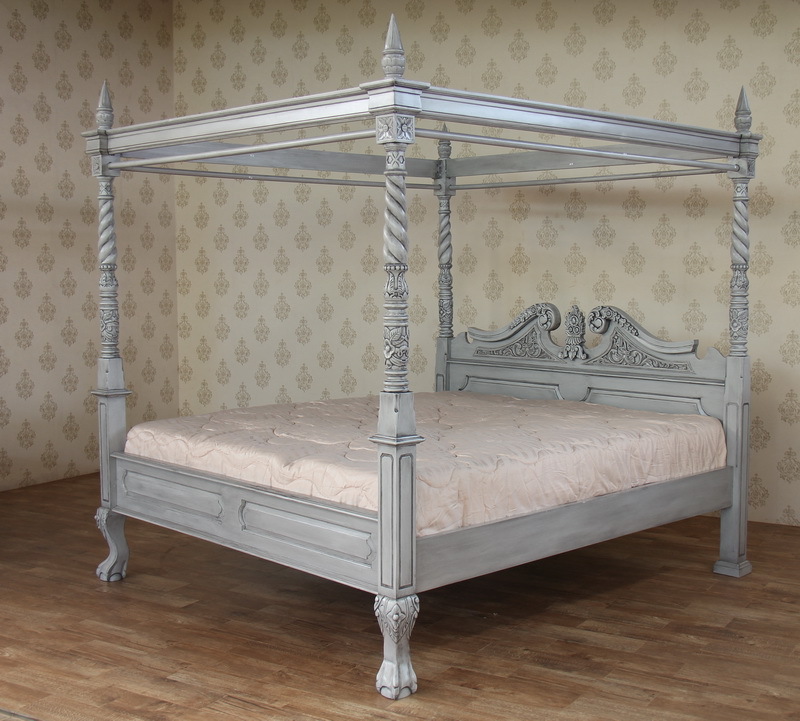 Four poster beds can also have the post heights altered which is particularly useful if ceiling heights are low in your bedroom. 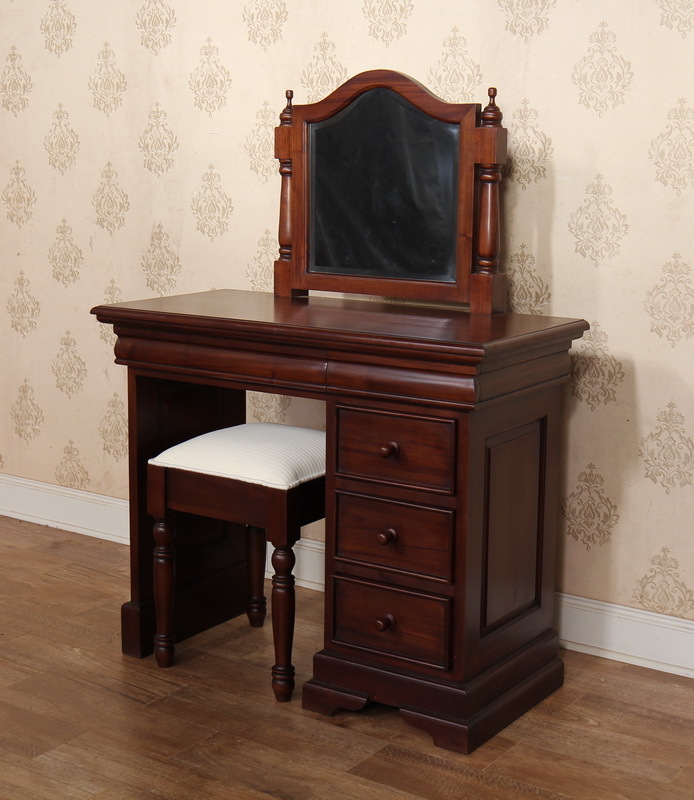 Desk measurements can be changed including height, width and depth. 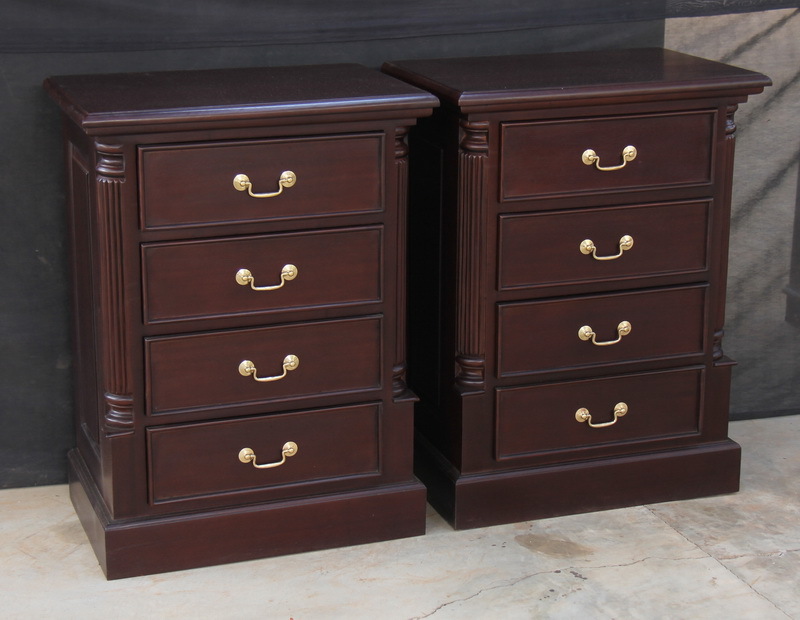 We can alter drawer configuration as well as handles (e.g. 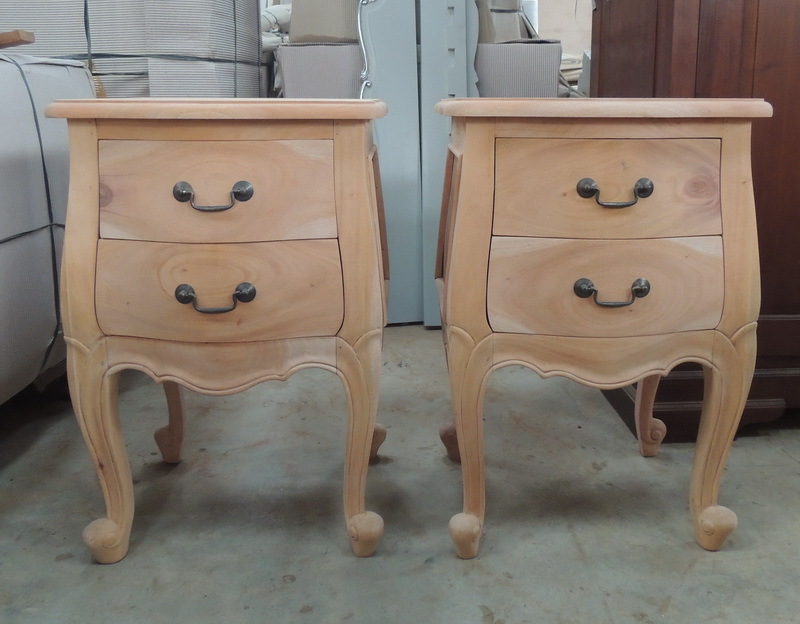 swan handles can be changed to cup handles). 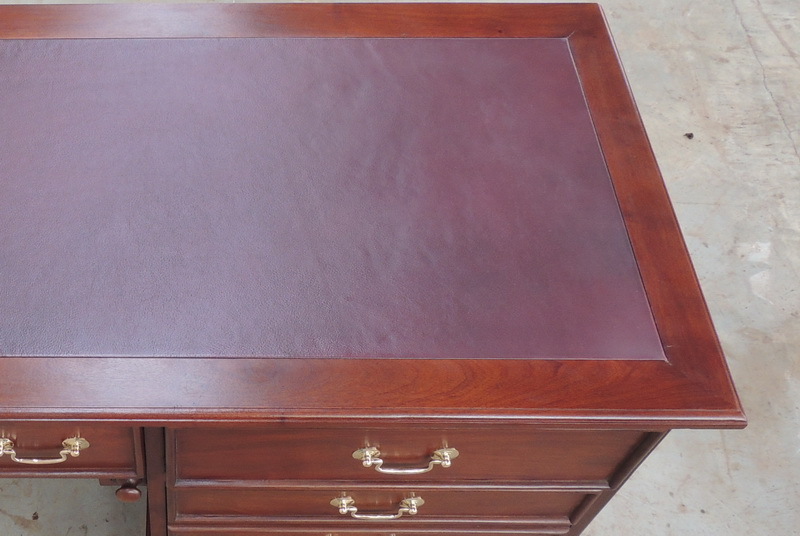 We can also offer a choice of leather colours for inlaid desk tops including brown, green, burgundy and black. 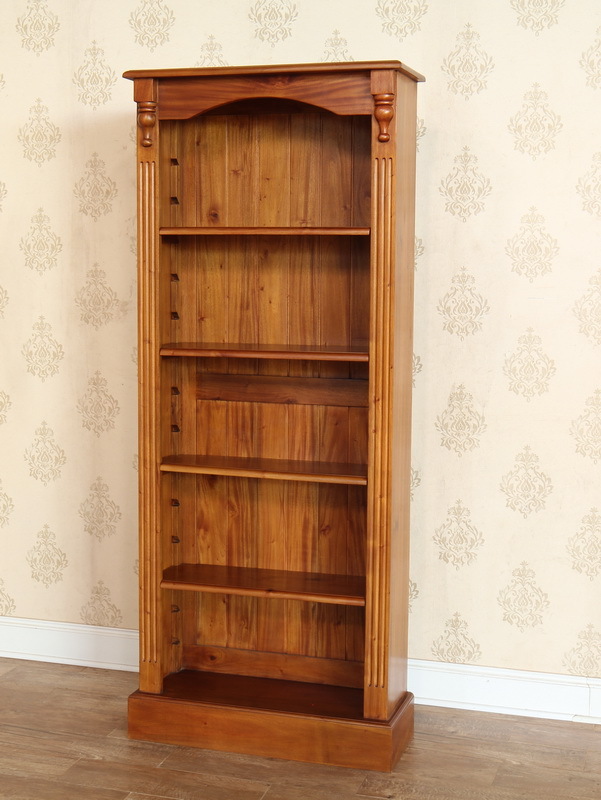 Bookcases are another popular bespoke item. 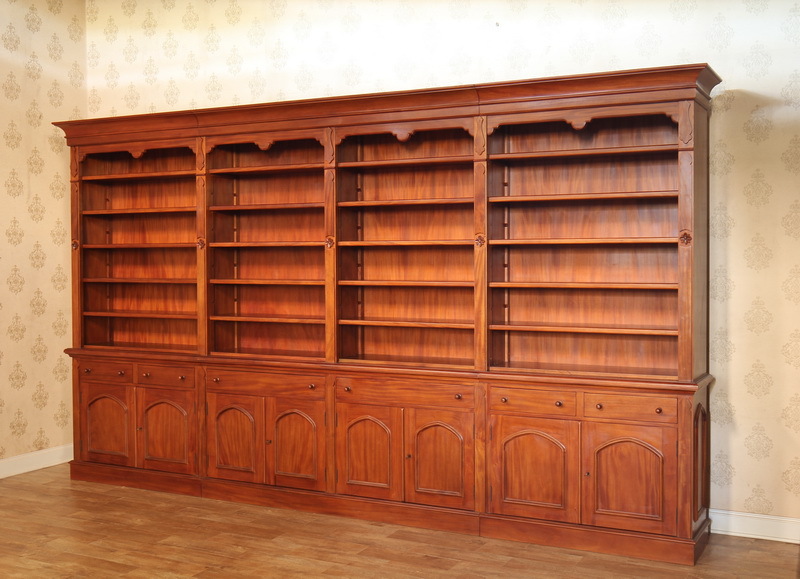 To suit your requirements we can change the height, width or depth of our bookcases. 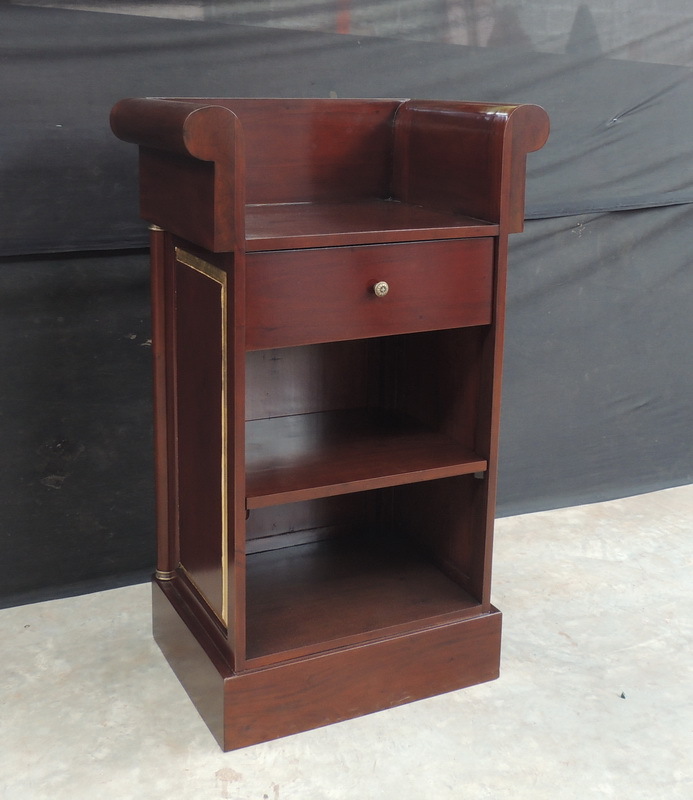 Shelf configuration can also be changed so that more or less shelves can be used. 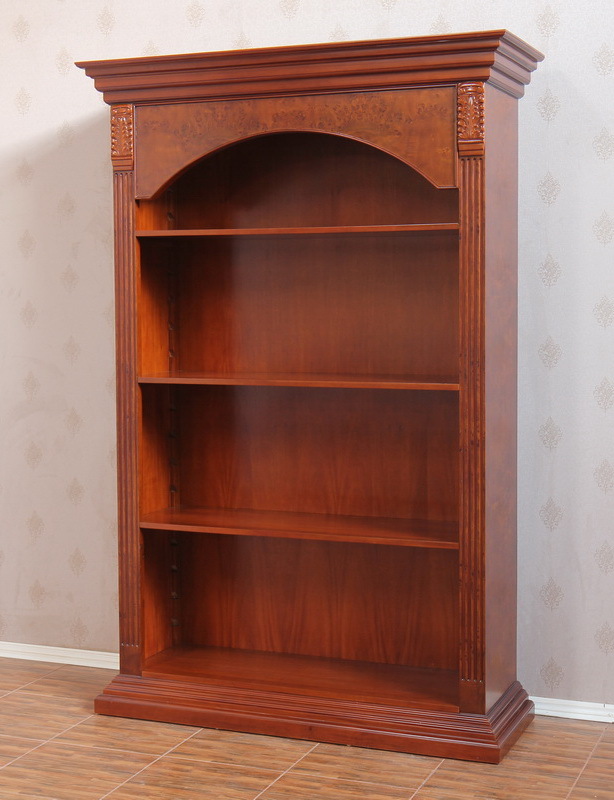 The space between shelves can be altered so that, for example, taller books or ornaments can be stored. 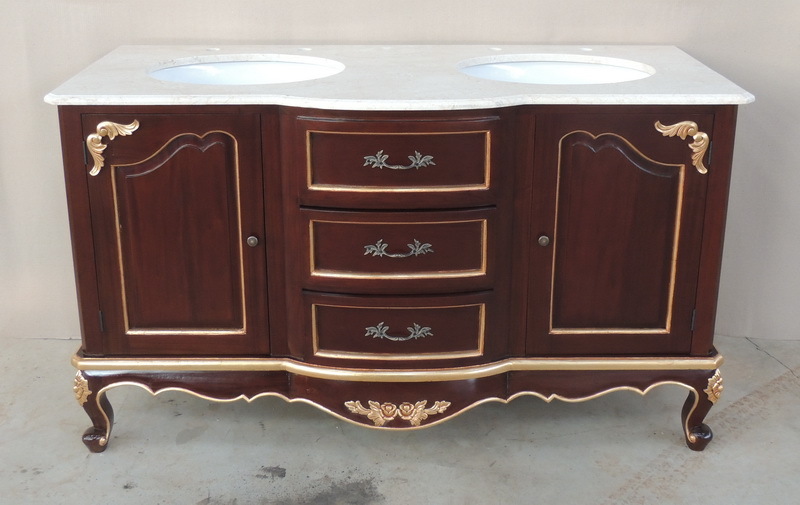 Our stylish French Bathroom Vanity Units provide fantastic storage solutions for your bathroom and are handcrafted from solid mahogany. 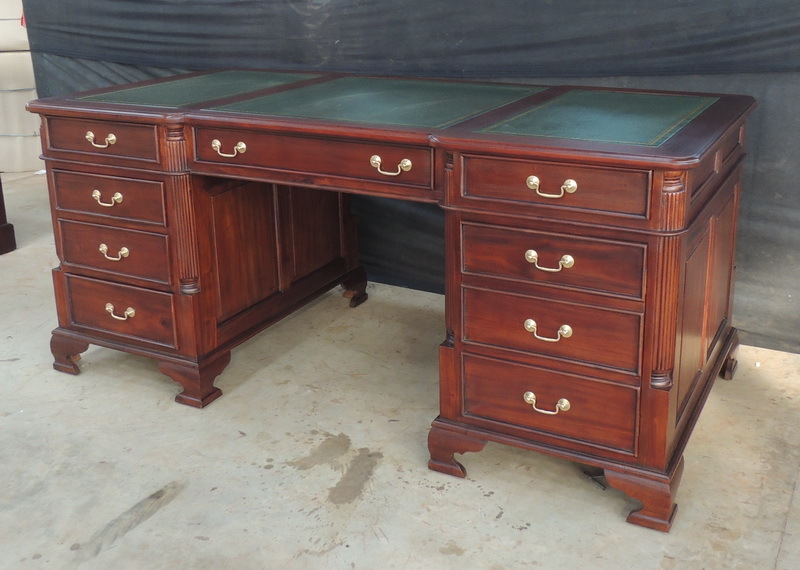 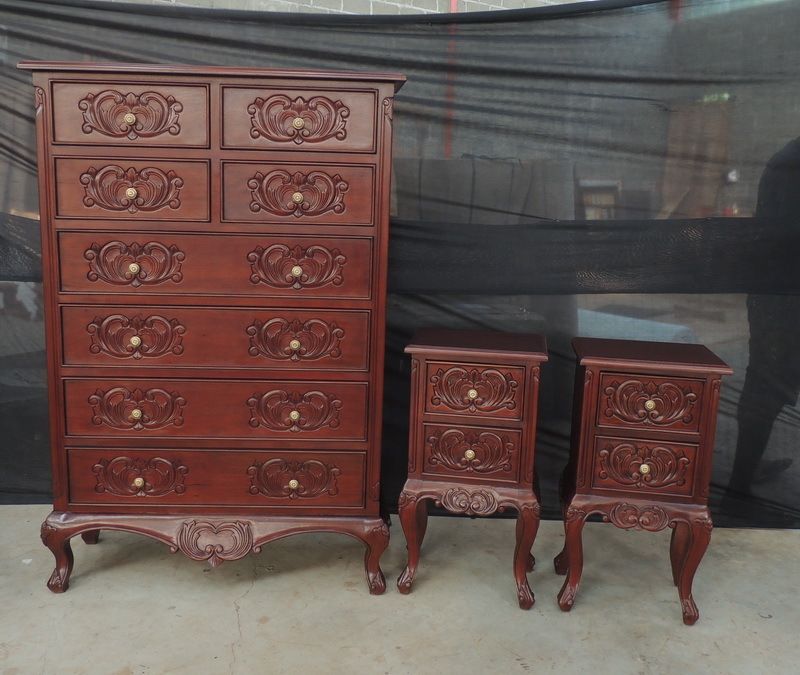 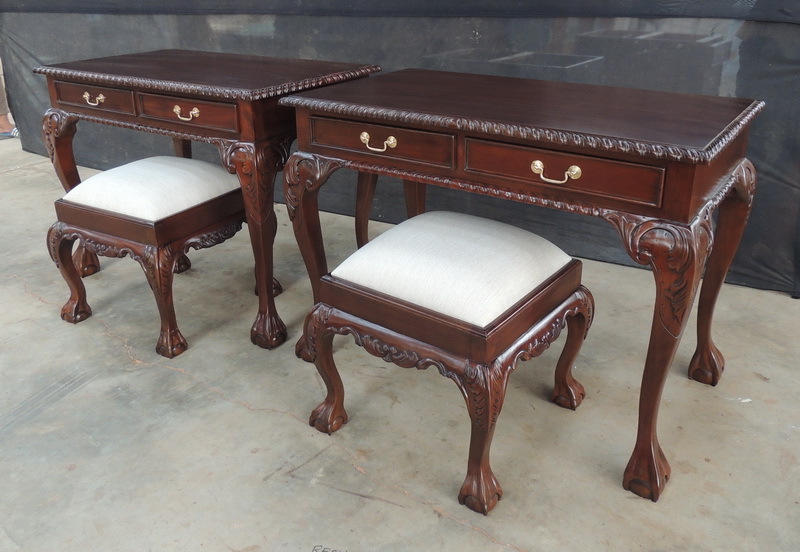 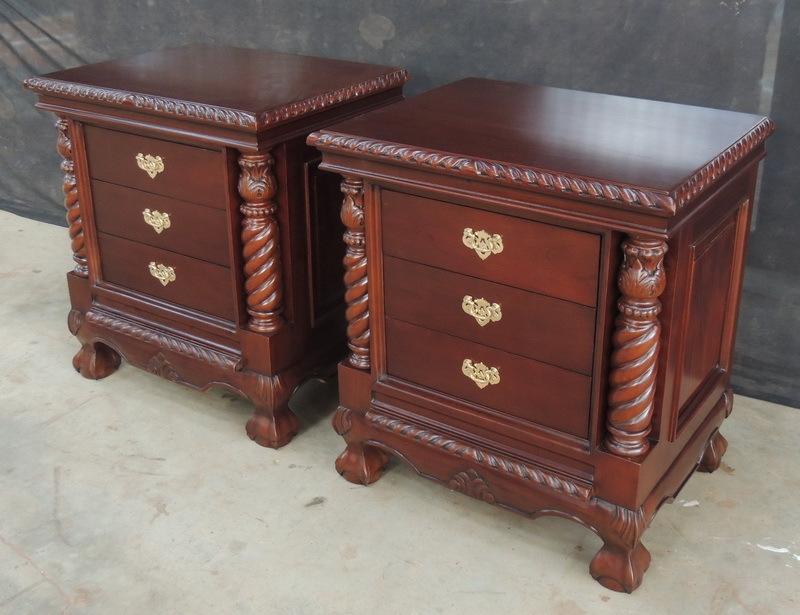 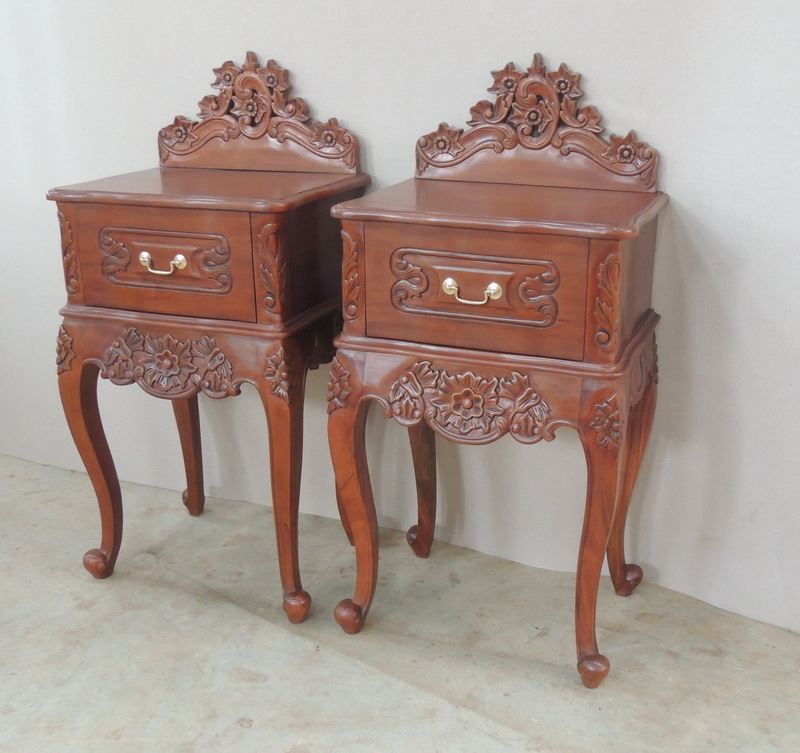 They are then finished with a real marble or solid mahogany top. 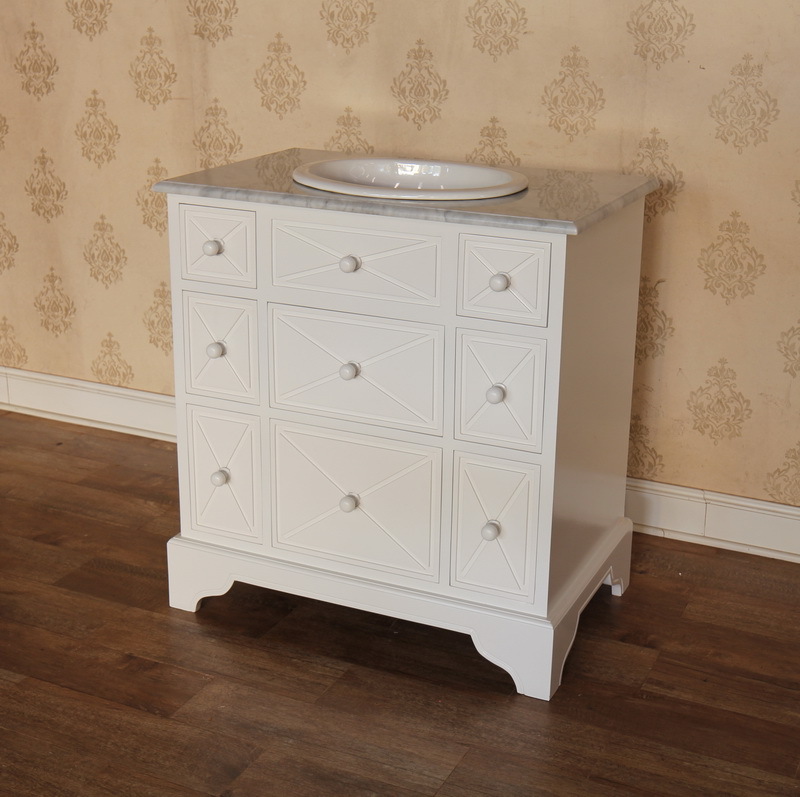 We offer a bespoke service for the size and finish of our Bathroom Vanity Units to include single or double sinks. 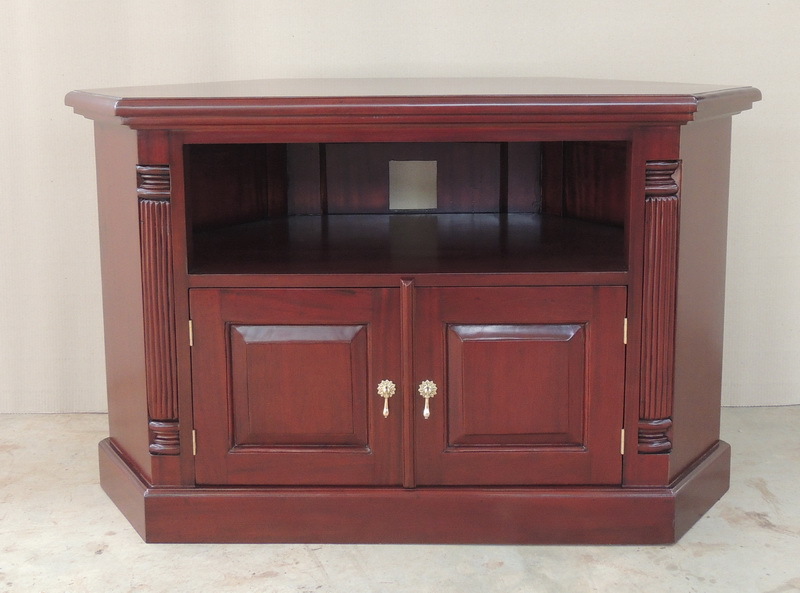 Vanity units can be made to your required size subject to sink size*. 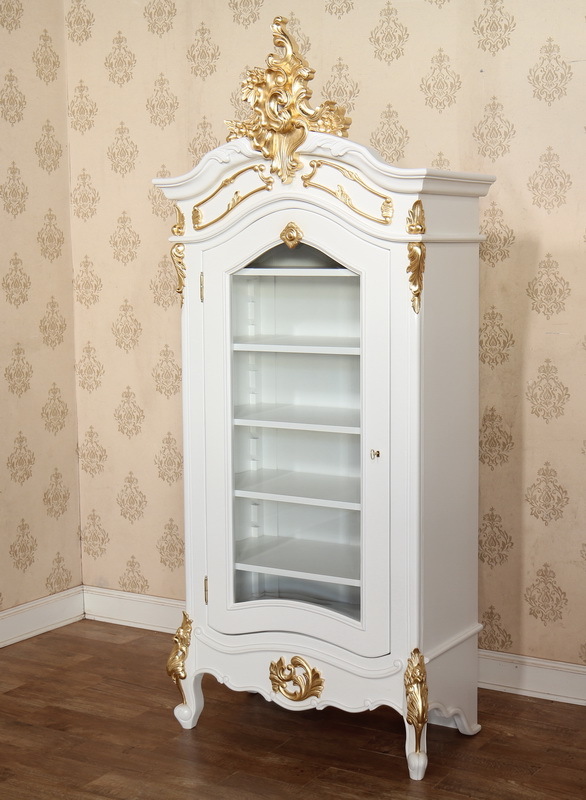 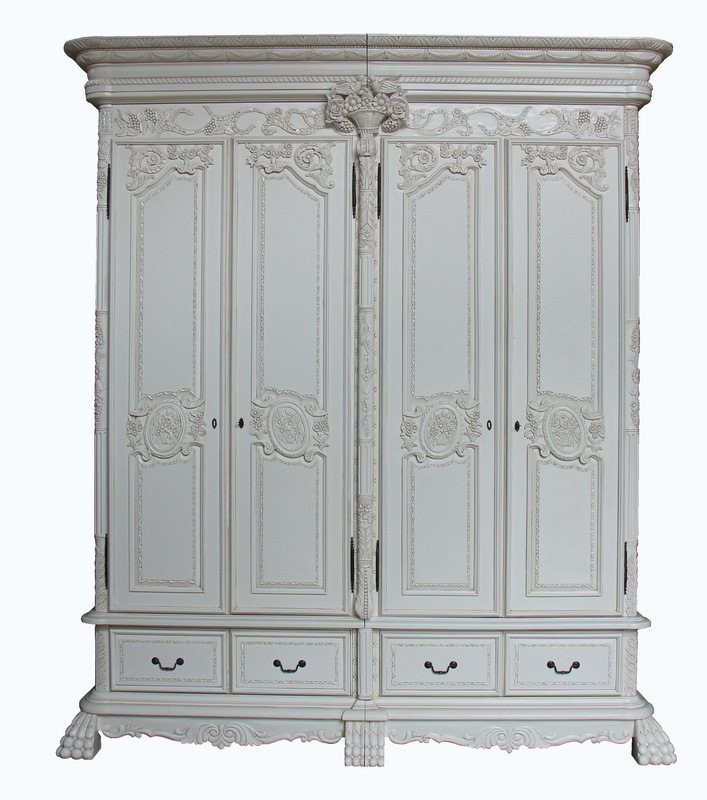 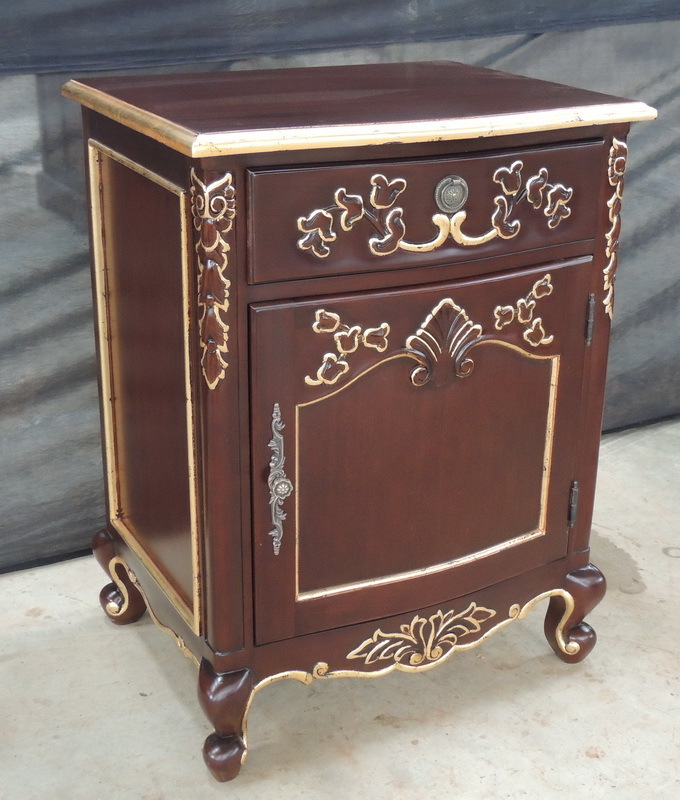 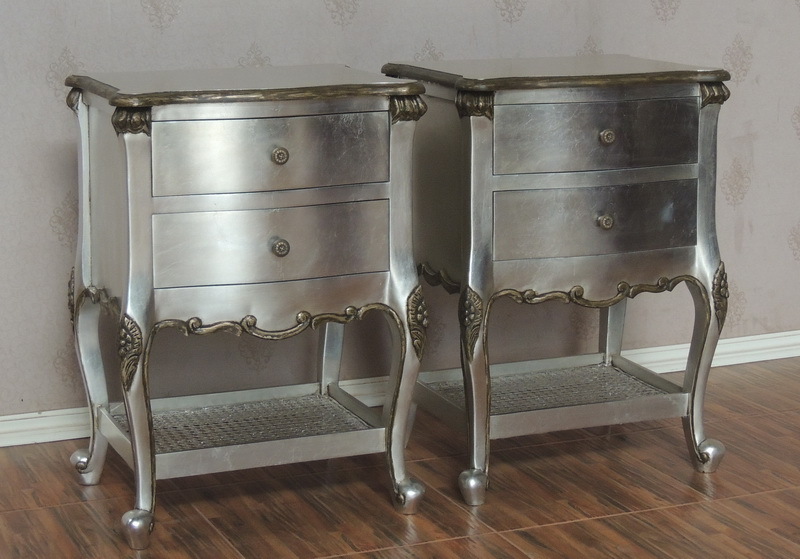 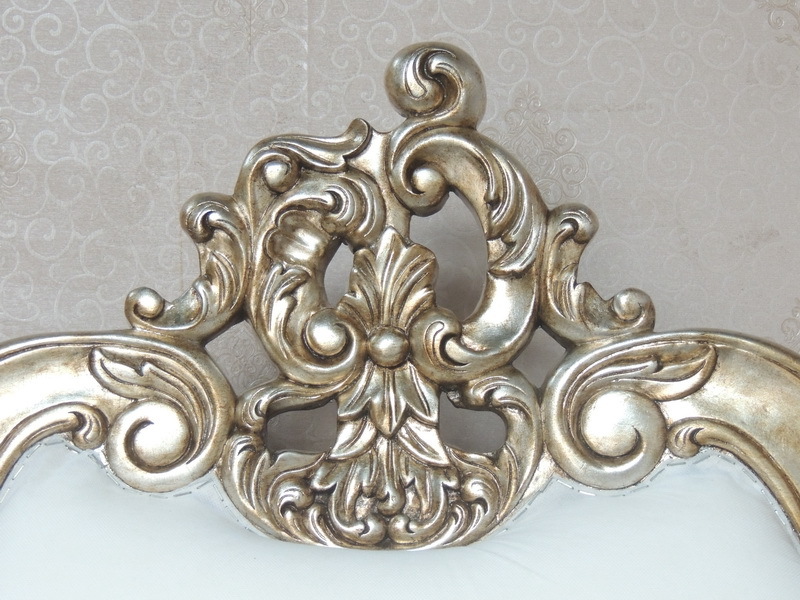 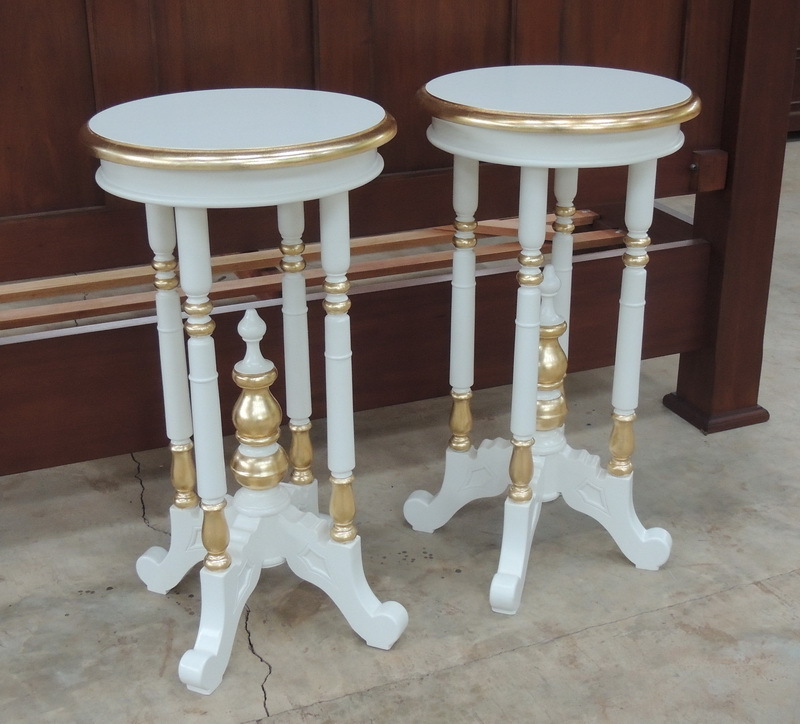 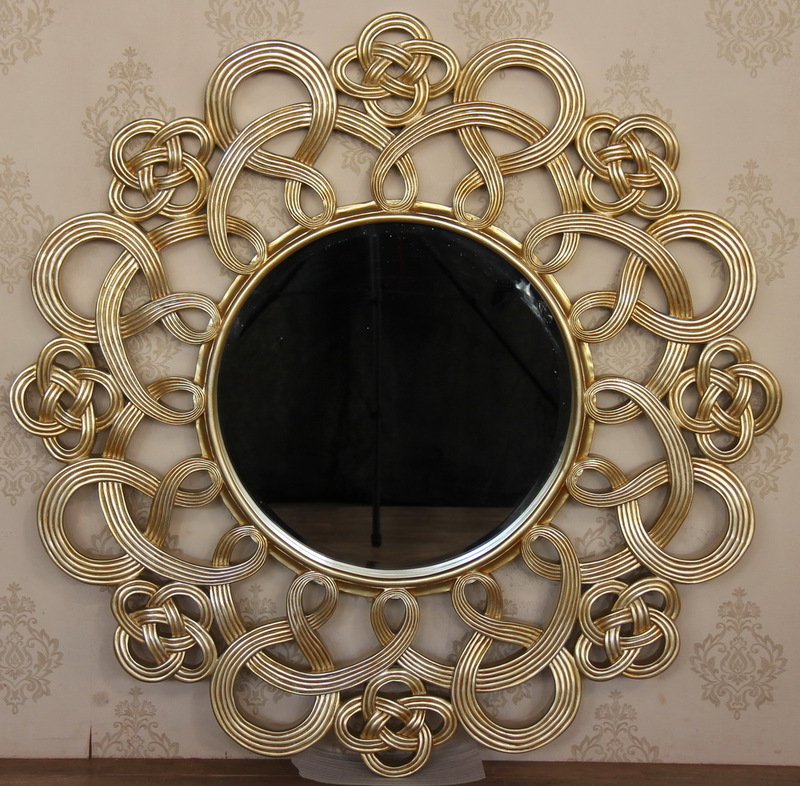 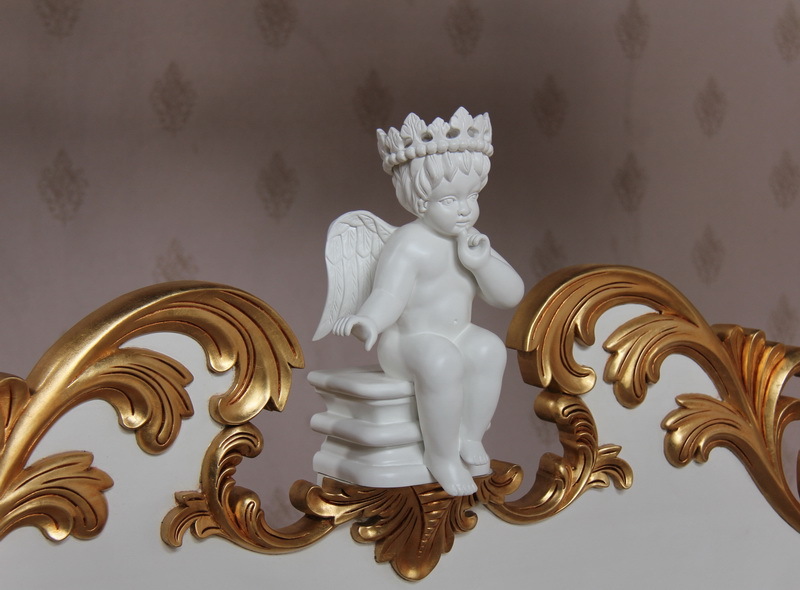 There are a choice of finishes available including lacquered mahogany, antique white, real silver or gold leaf. 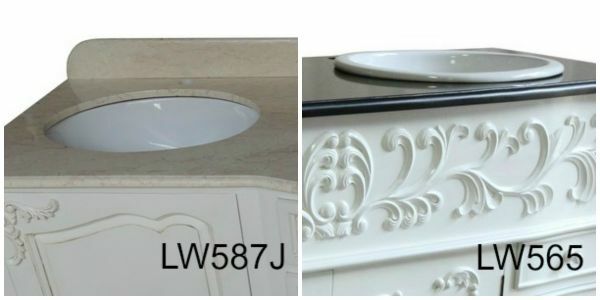 *We are able to supply 2 different quality TOTO sinks the LW587J (under mounted bowl) and the LW565. 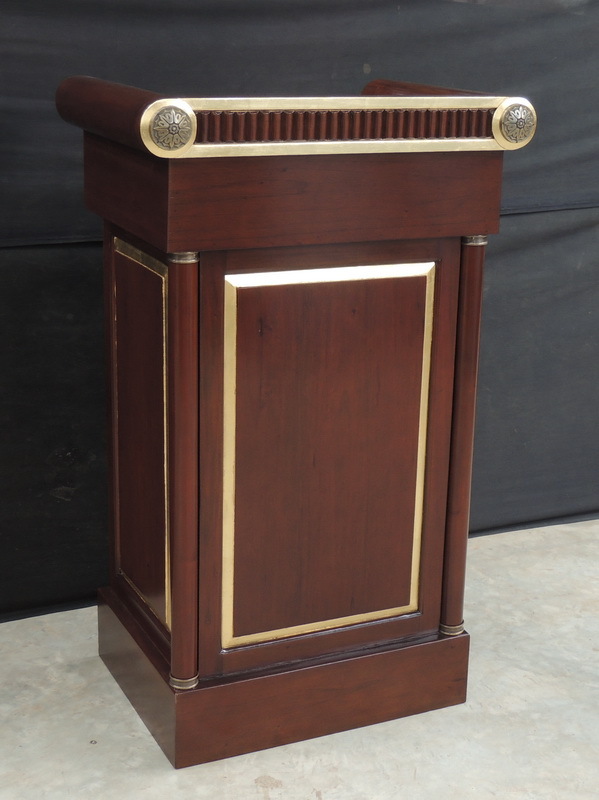 The LW587J bowl requires a minimum unit depth of 60-65cm and the LW565 requires a minimum unit depth of 50-55cm. 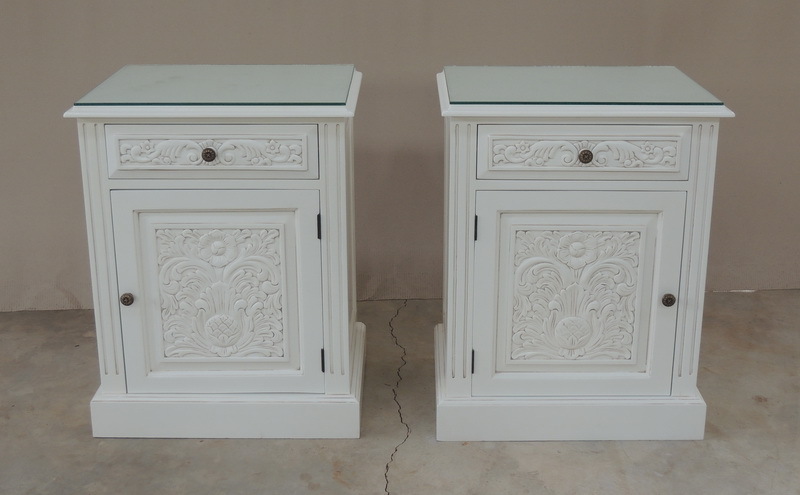 Bespoke cabinets can be based on our standard Bathroom Vanity Units. 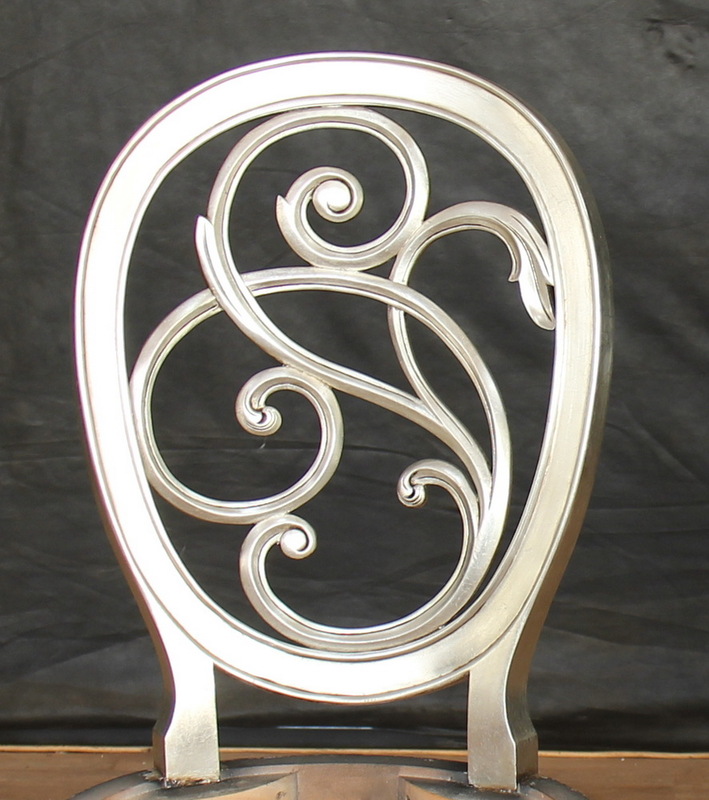 We can also quote to replicate if you have seen a design that you like elsewhere. 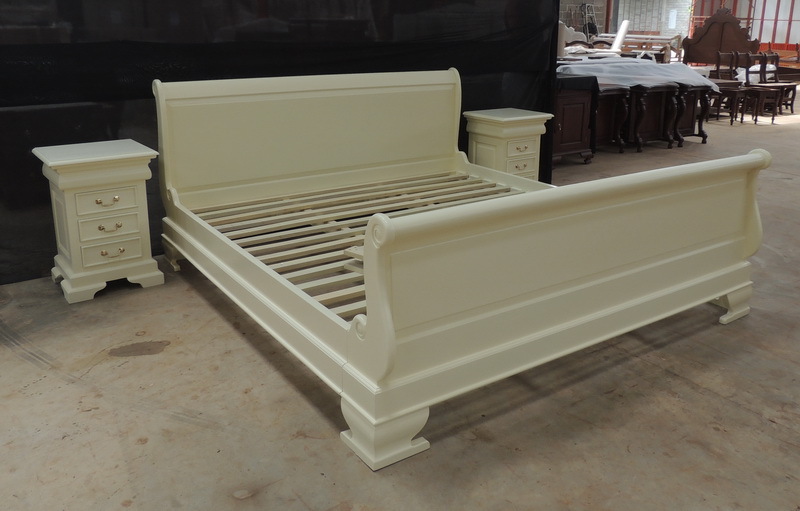 The marble we can supply comes in a choice of 3 colours, white, cream or black. 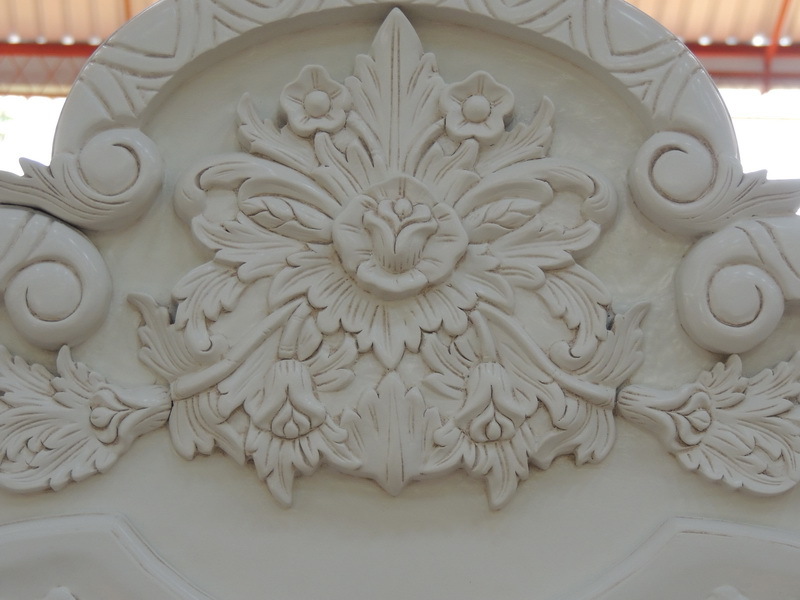 Marble is a natural stone and each piece has its own unique characteristics. 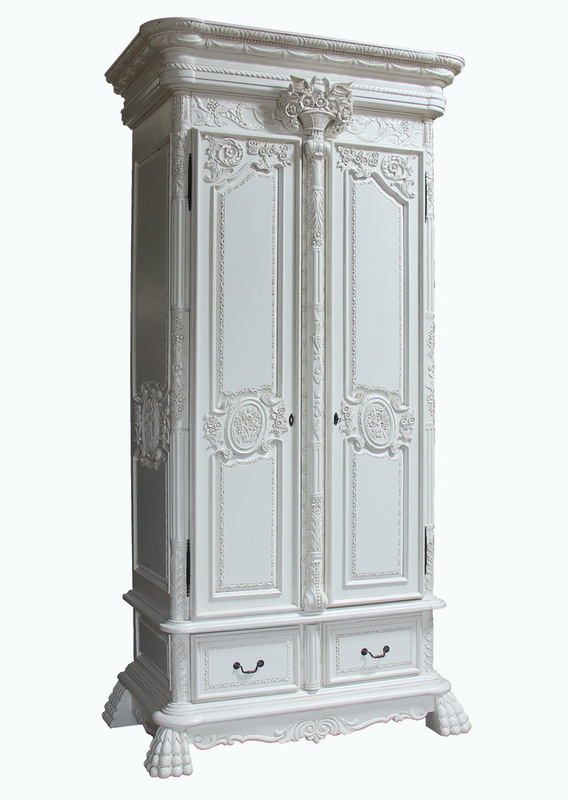 It will vary in colour, shading and veining. 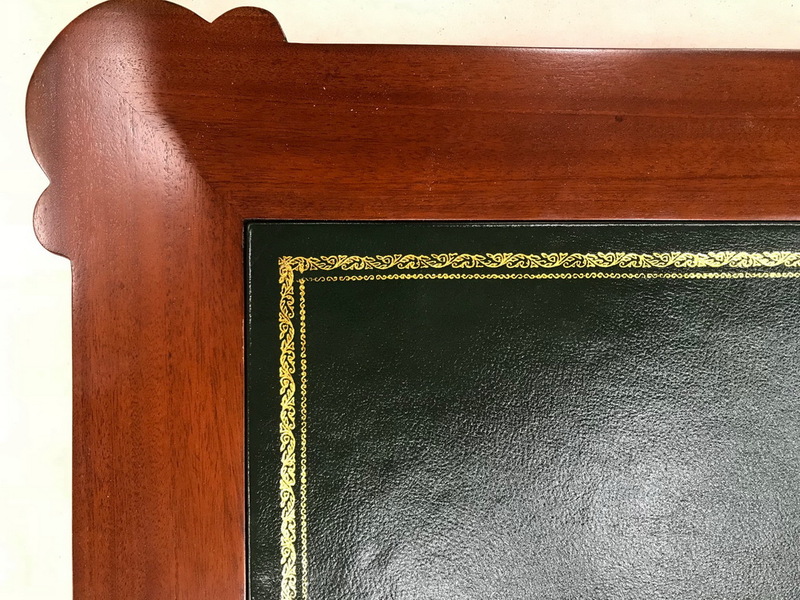 This means that there will be minor variations and visible fossils, veins and vents (little holes) appearing here and there. 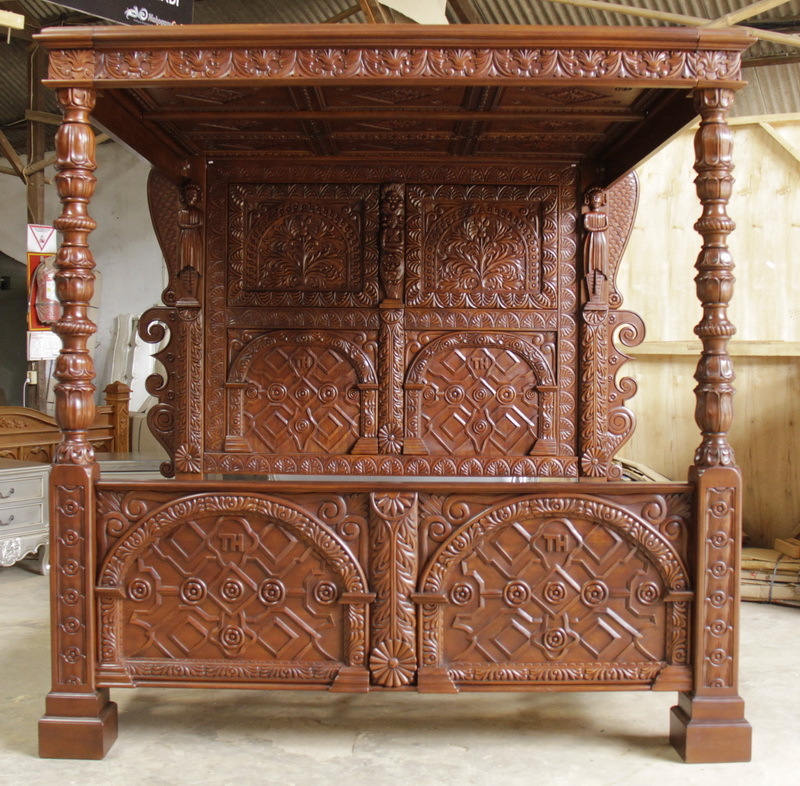 This is the beauty of the natural material and not a fault. 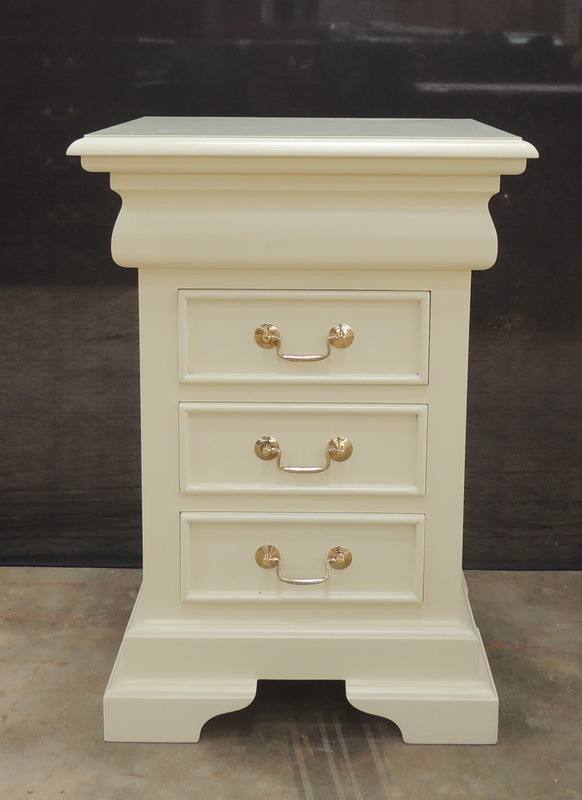 We can also supply just a base unit if you wish to use your own marble. 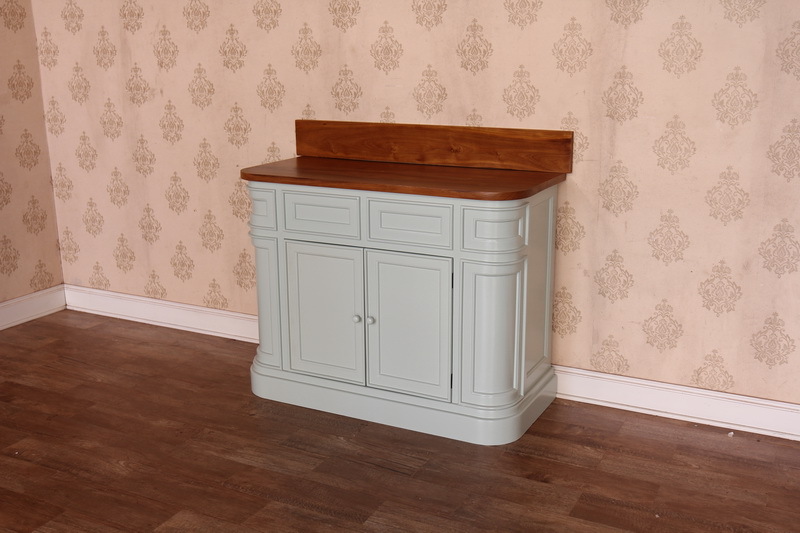 Please note - we do not supply taps or waste connections. 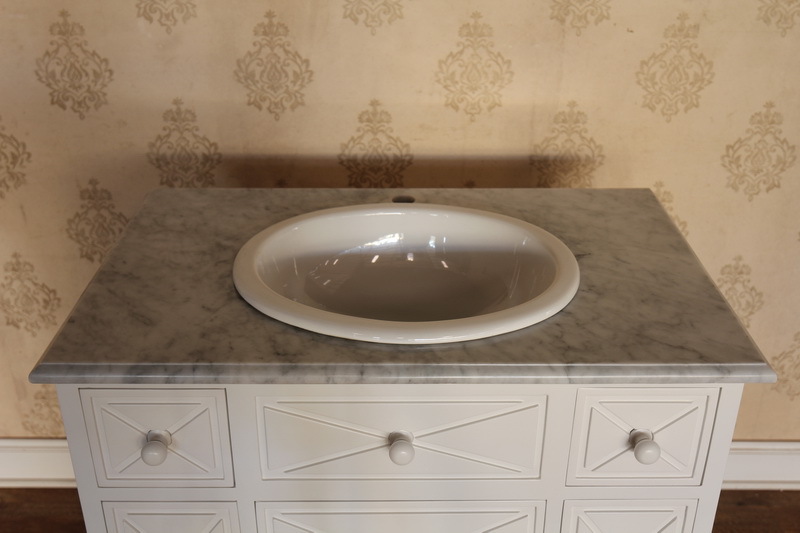 Please advise when ordering whether you require 1 or 2 holes in the marble for your own choice of taps. 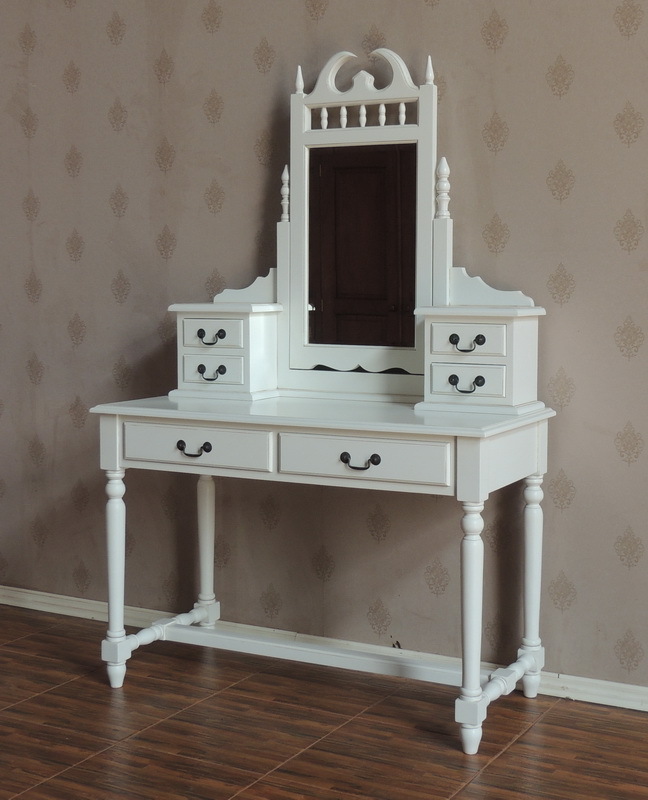 As vanity units are made to order they are subject to a lead time of approximately 12-14 weeks. 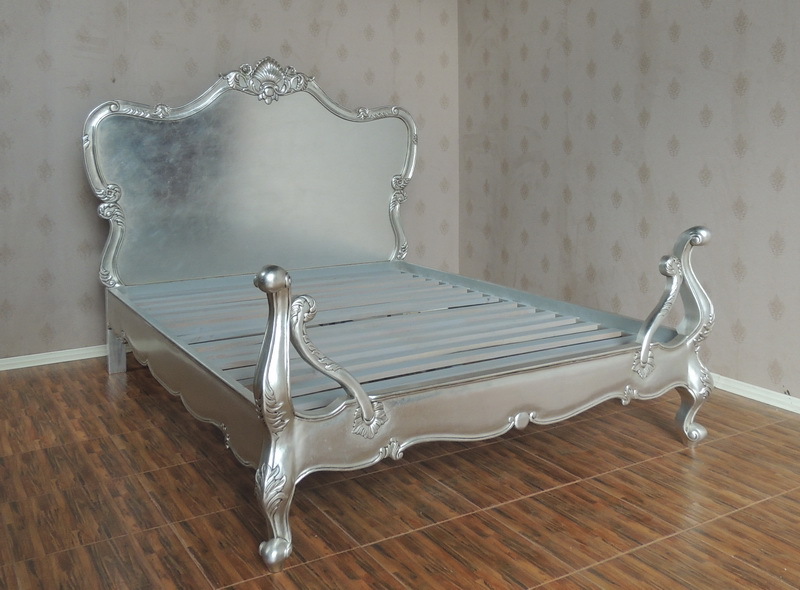 An accurate lead time will be provided at the time of quote. 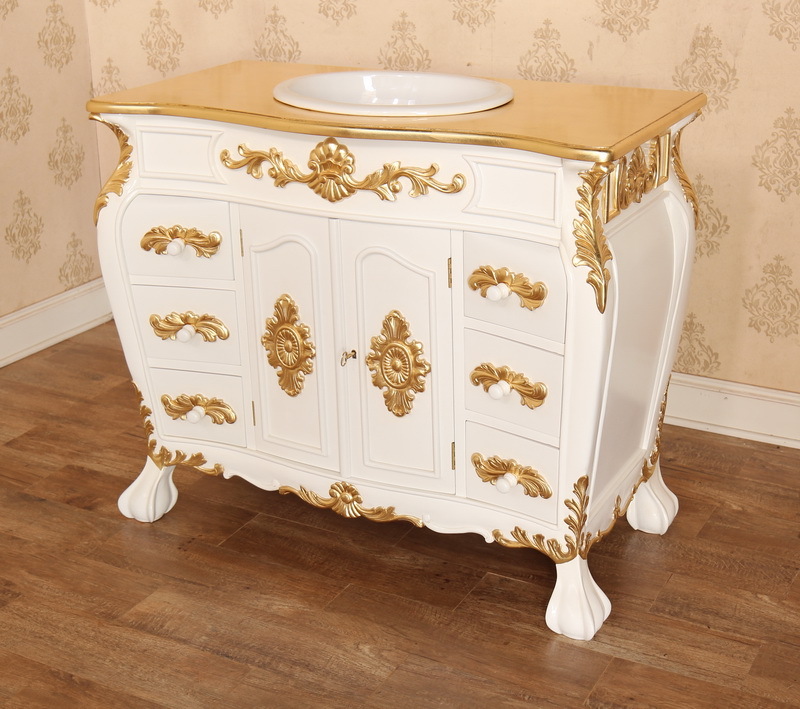 Please carefully check the dimensions of the Vanity Unit you would like to order. 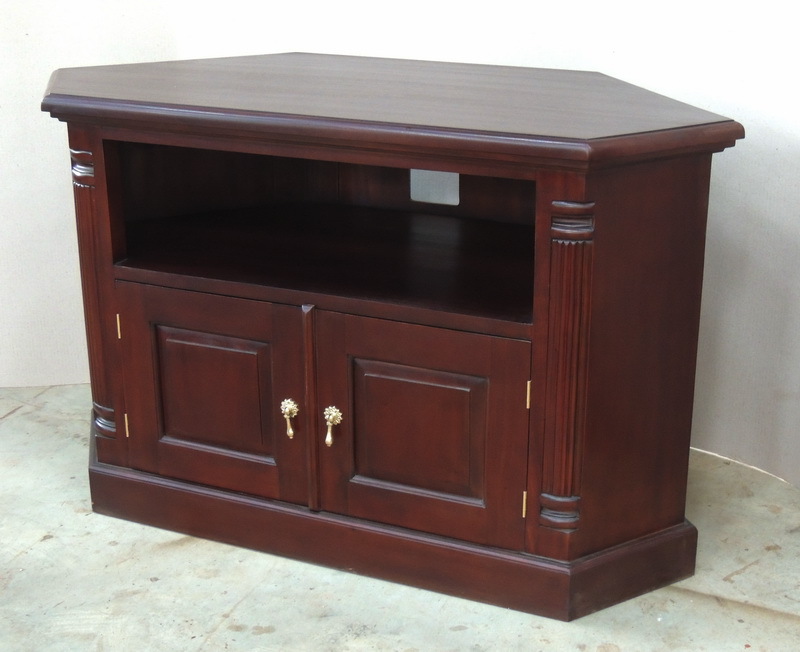 It is your responsibility to ensure that you have adequate access for delivery. 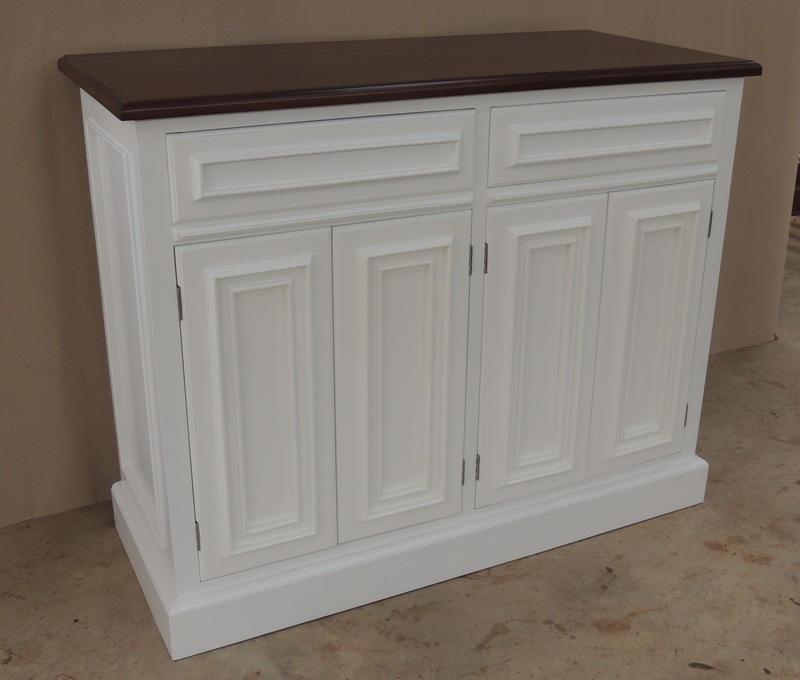 The units typically arrive in 2 pieces, the base cabinet and the marble top. 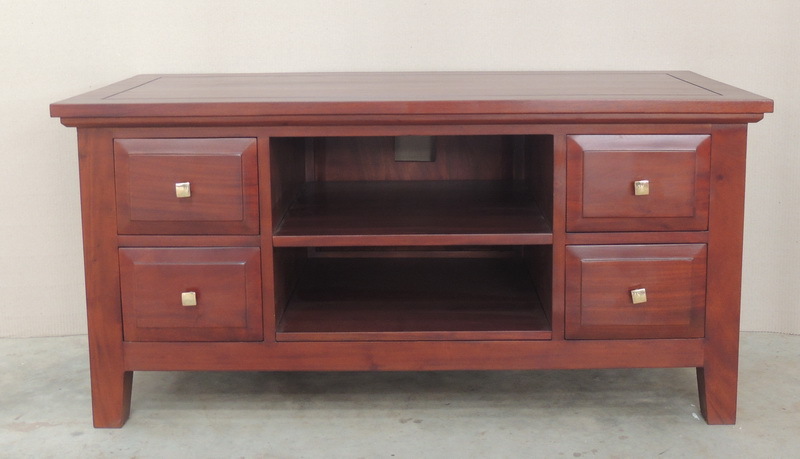 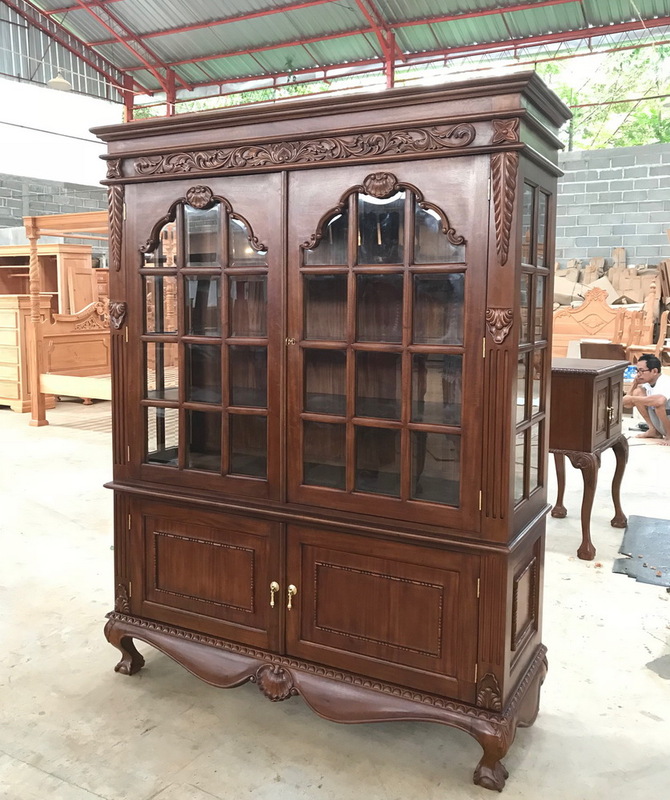 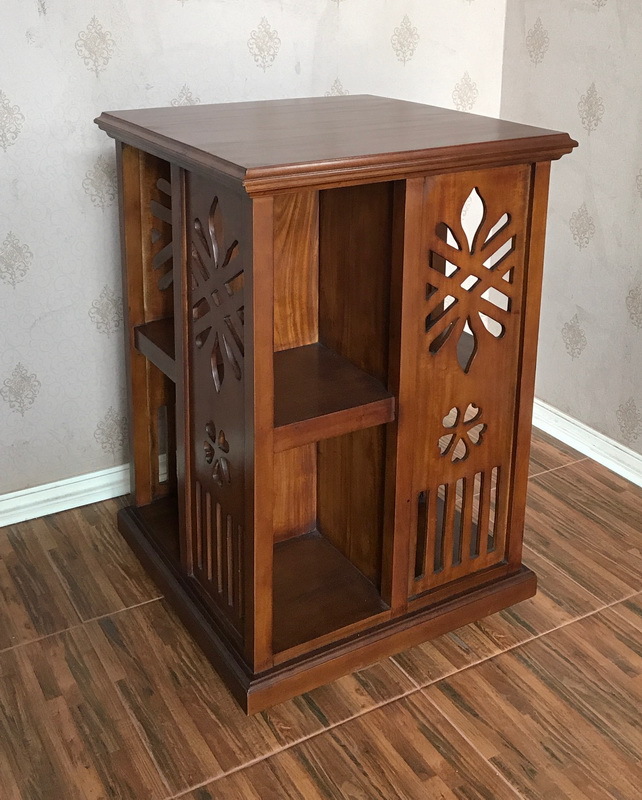 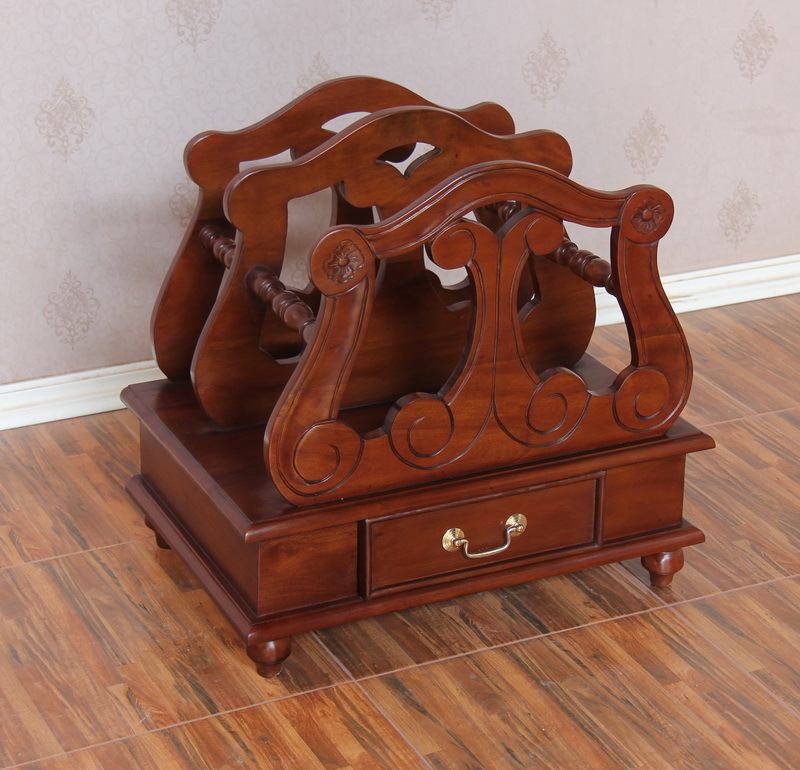 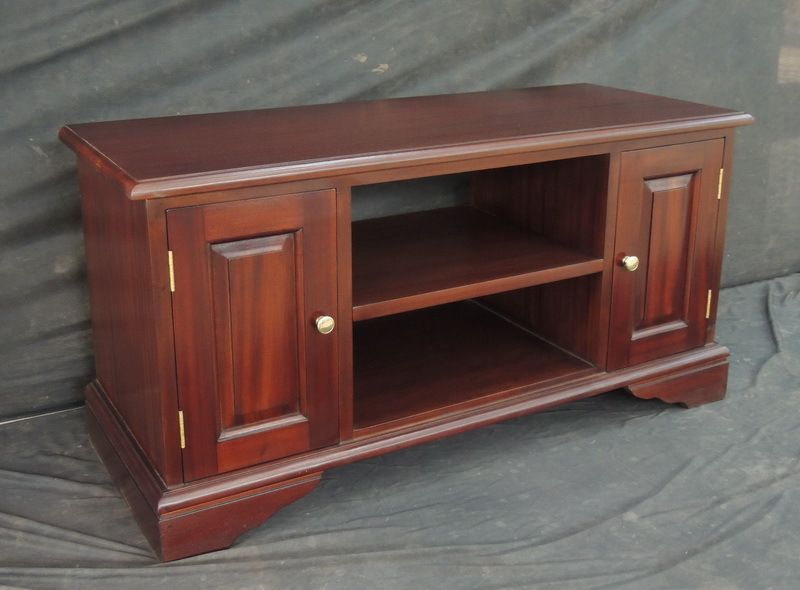 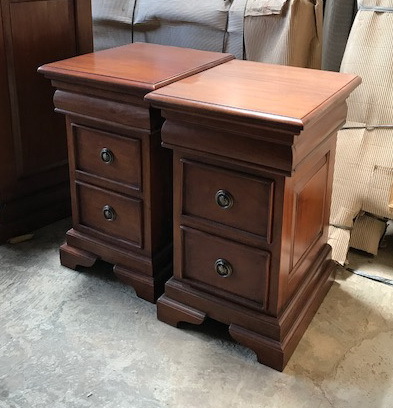 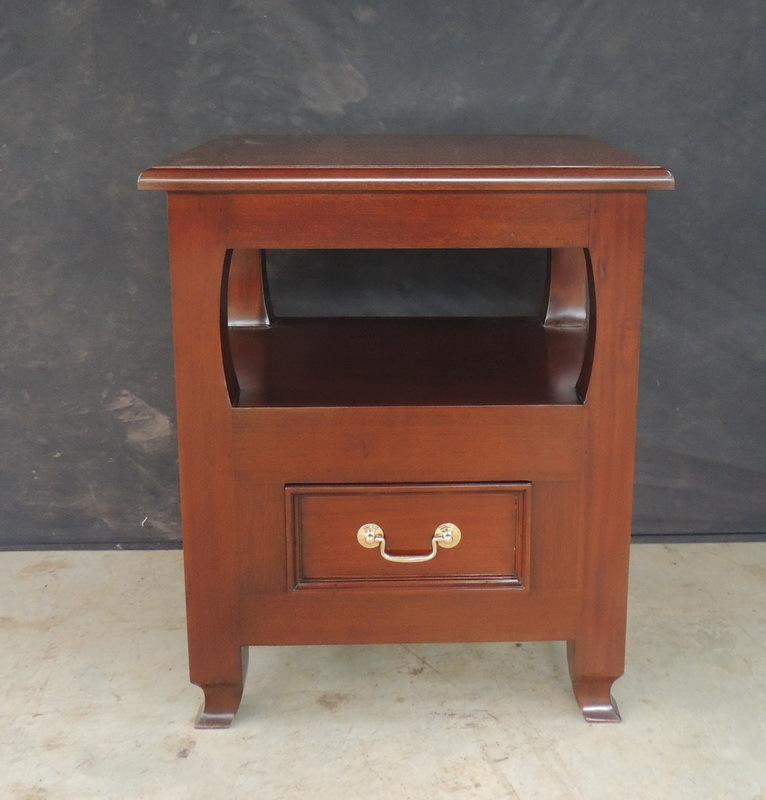 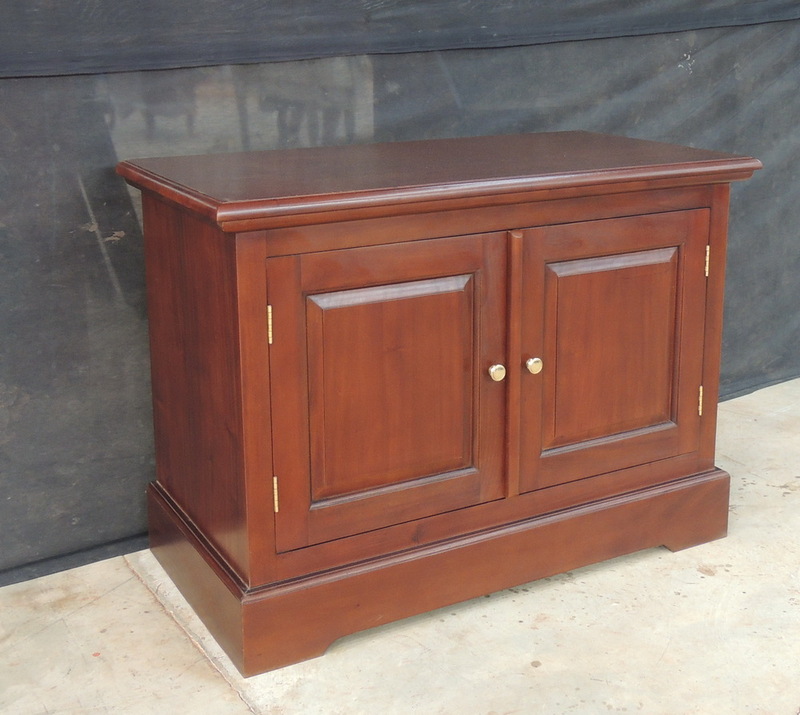 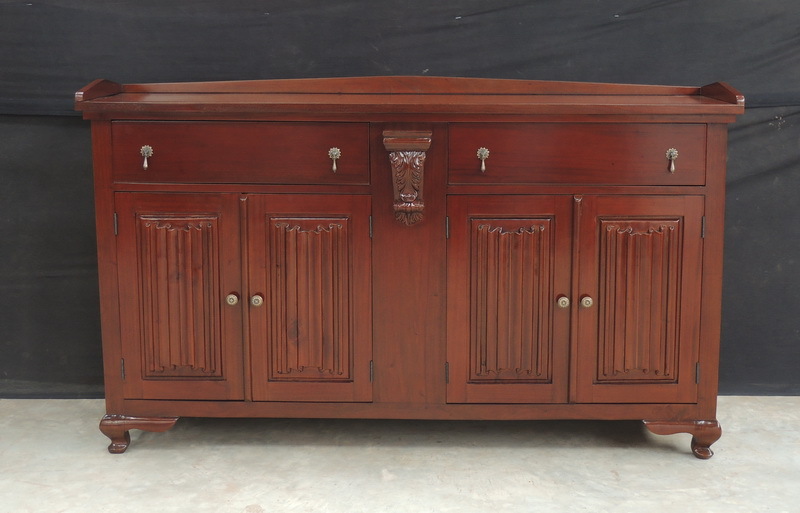 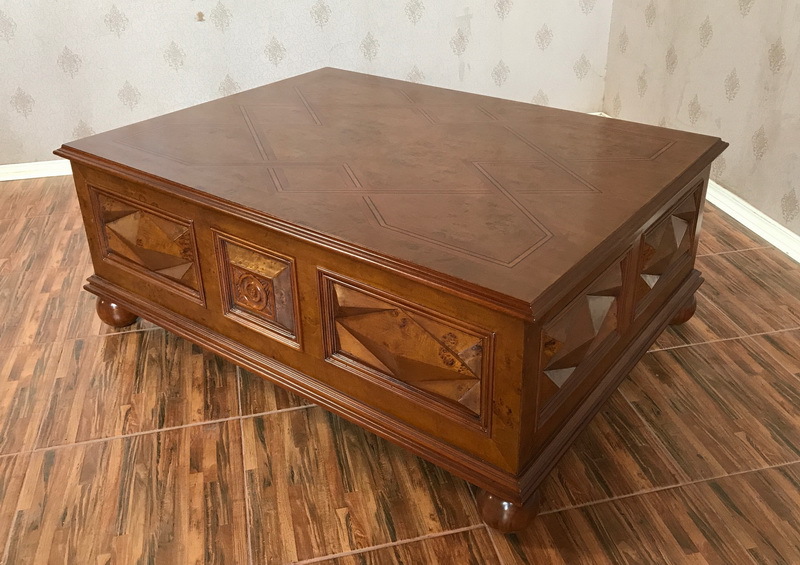 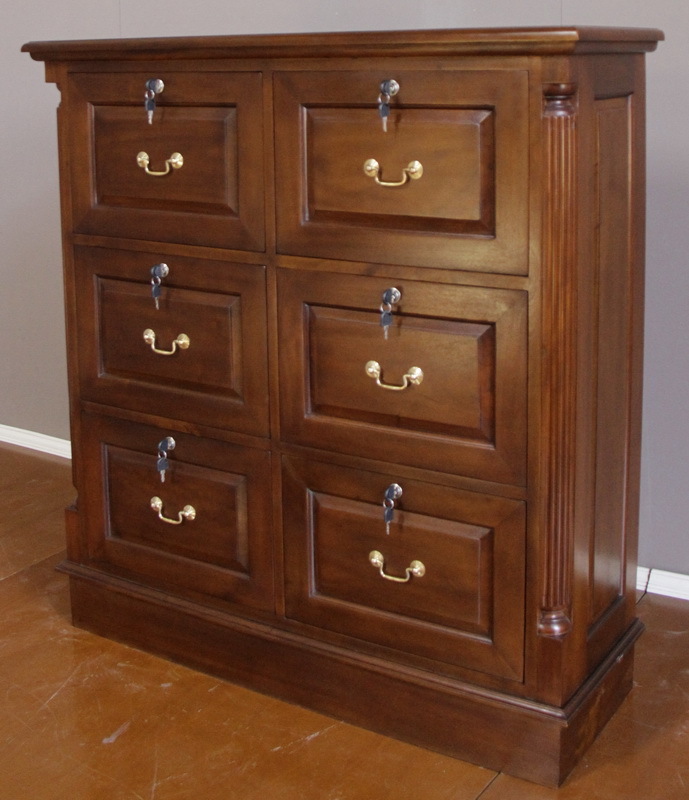 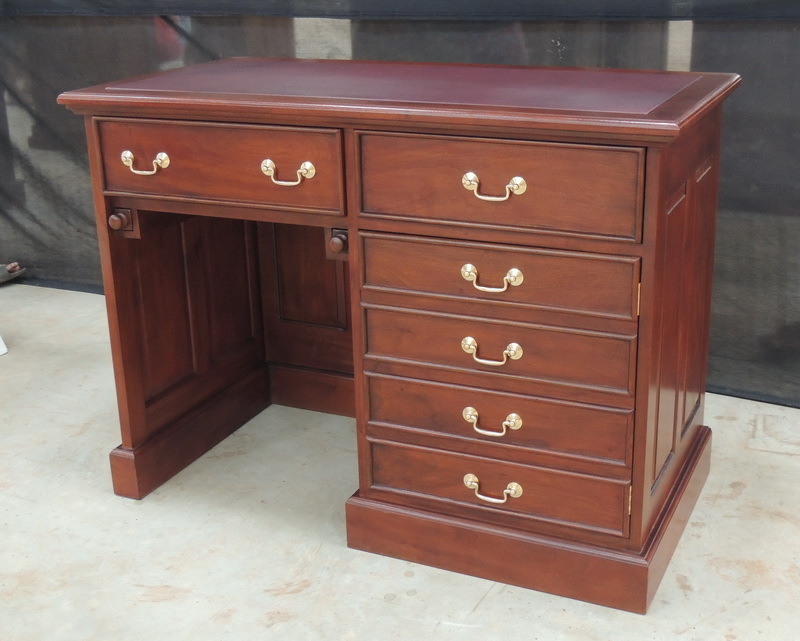 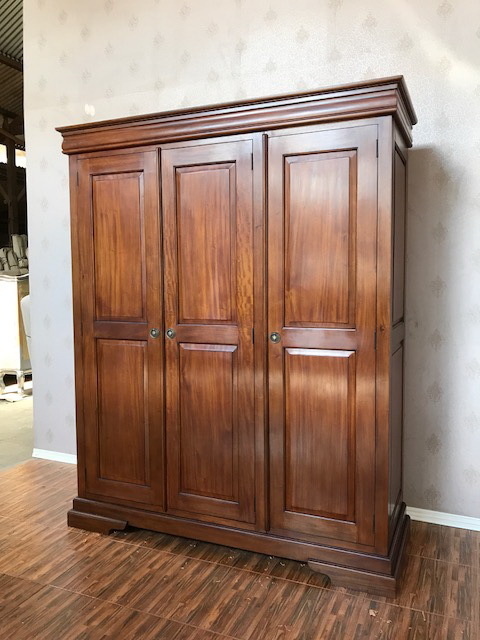 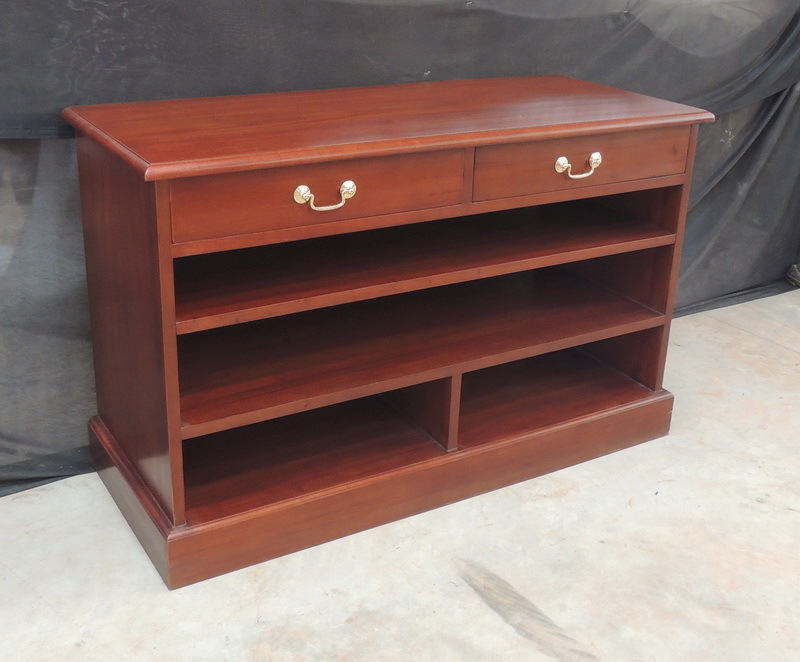 If the unit has a mahogany top it will arrive in one piece. 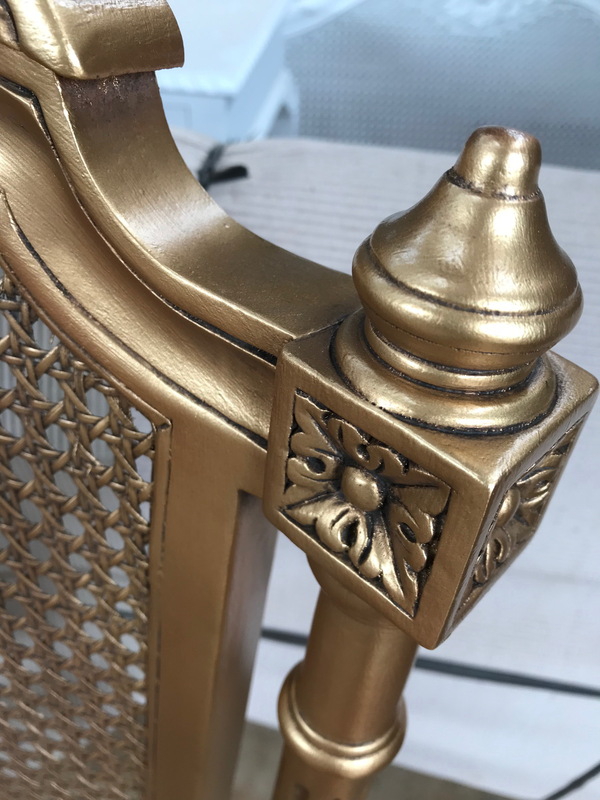 If you would like more details on our bespoke service, or to acquire a quote, please contact us by email [email protected] or call the office on 01531 633 333. 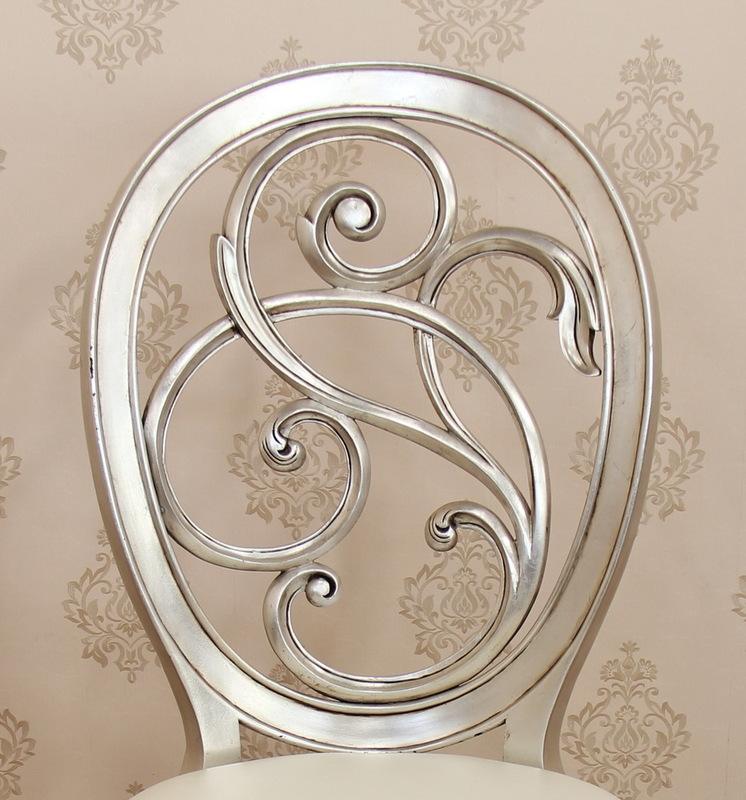 If you would like to enquire further about our bespoke furniture service then please contact us here. 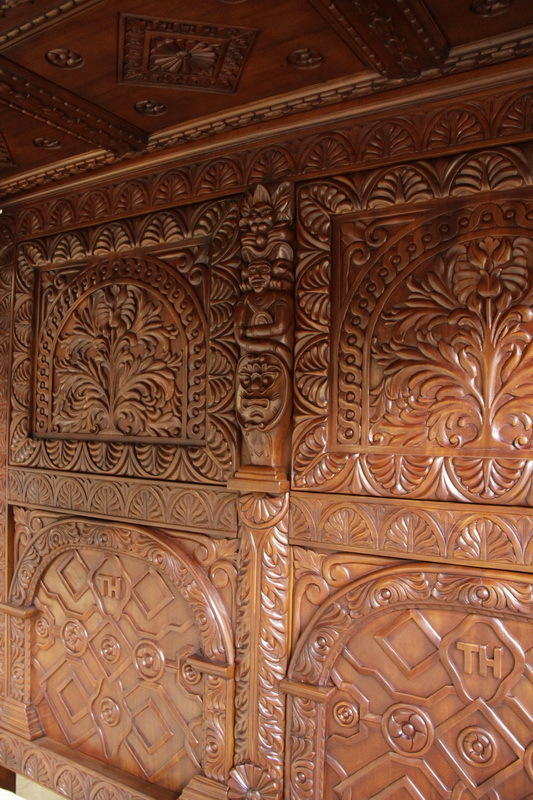 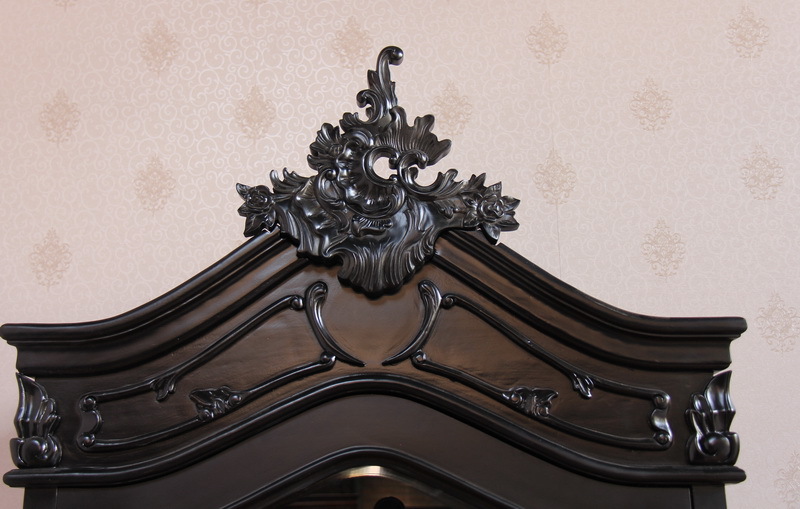 Custom French Bed carving detail. 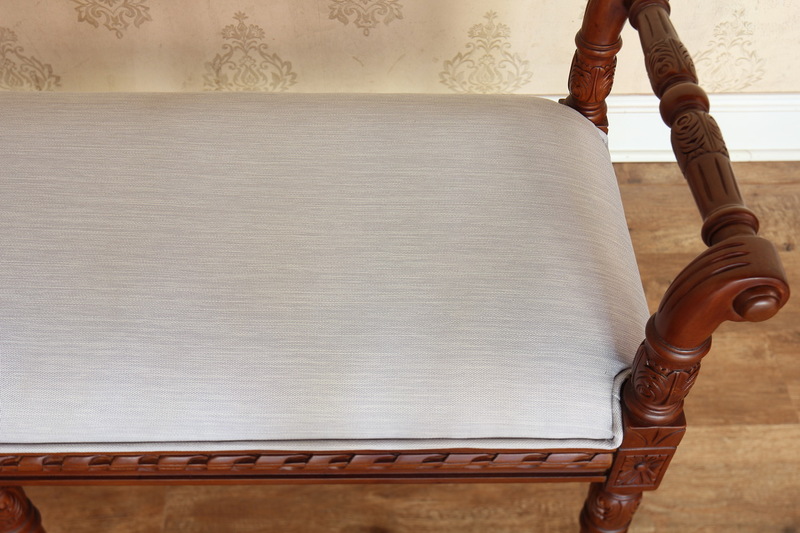 Upholstered in calico to be finished with customers fabric in the UK. 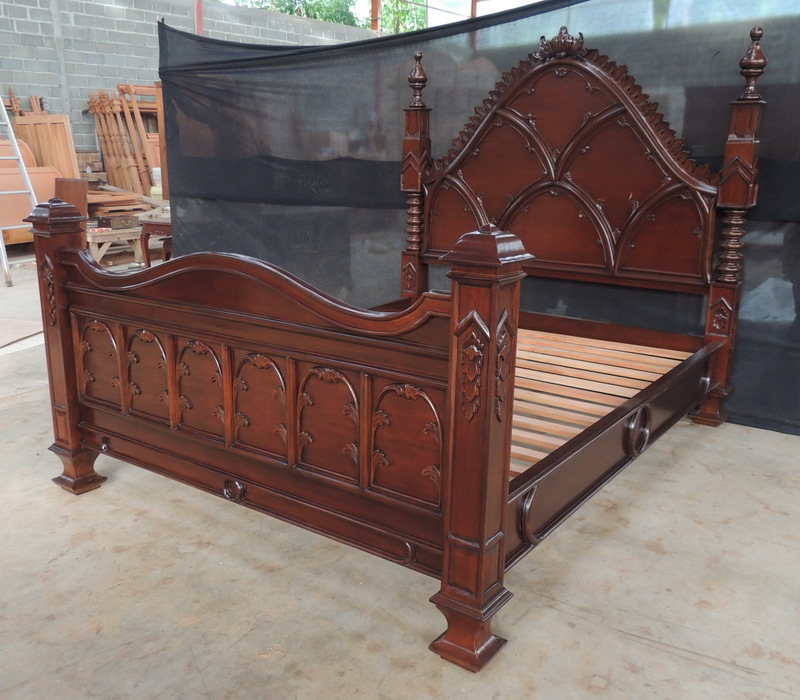 French Directories bed finished in natural wax. 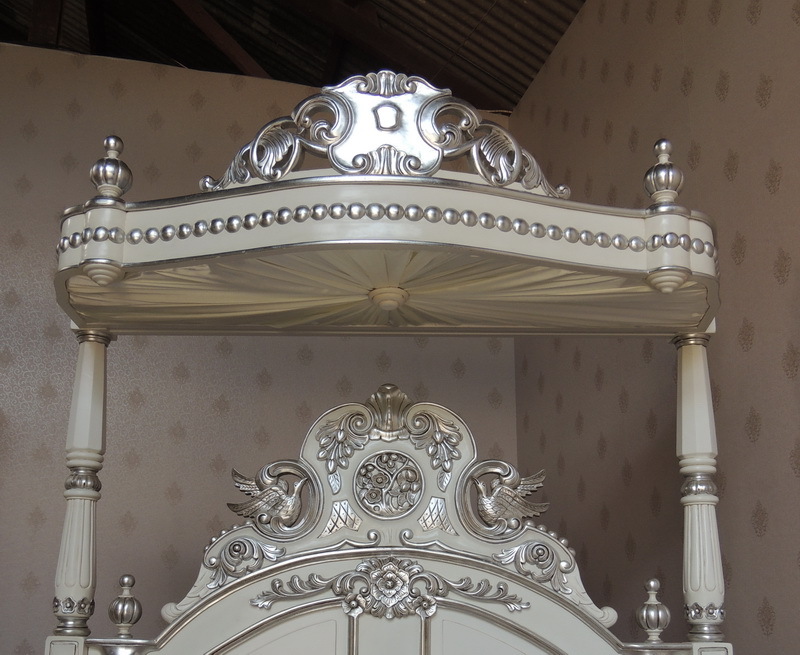 Custom French bed with headboard upholstered in calico to be finished with customer's chosen fabric in the UK. 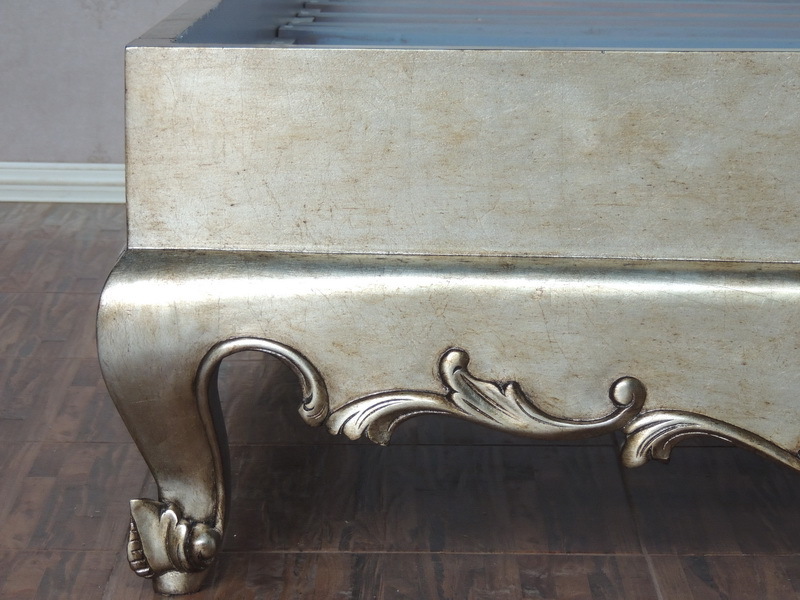 Custom aged silver leaf finish. 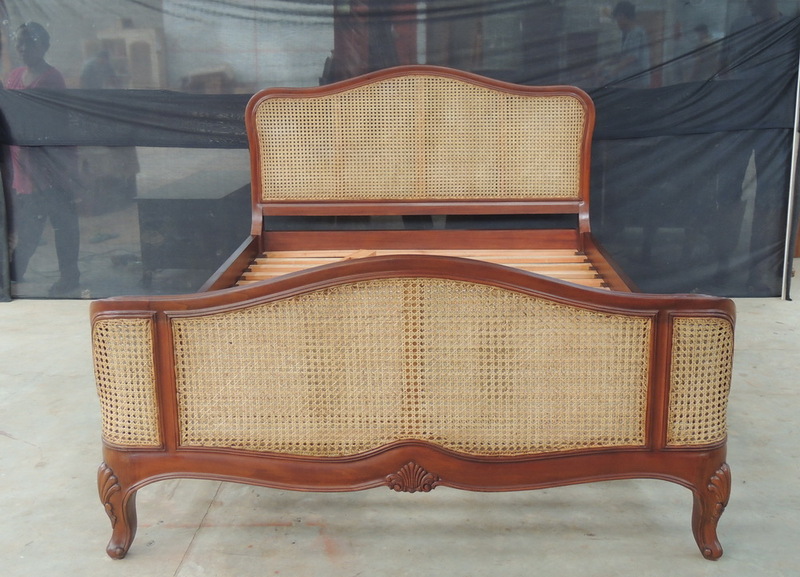 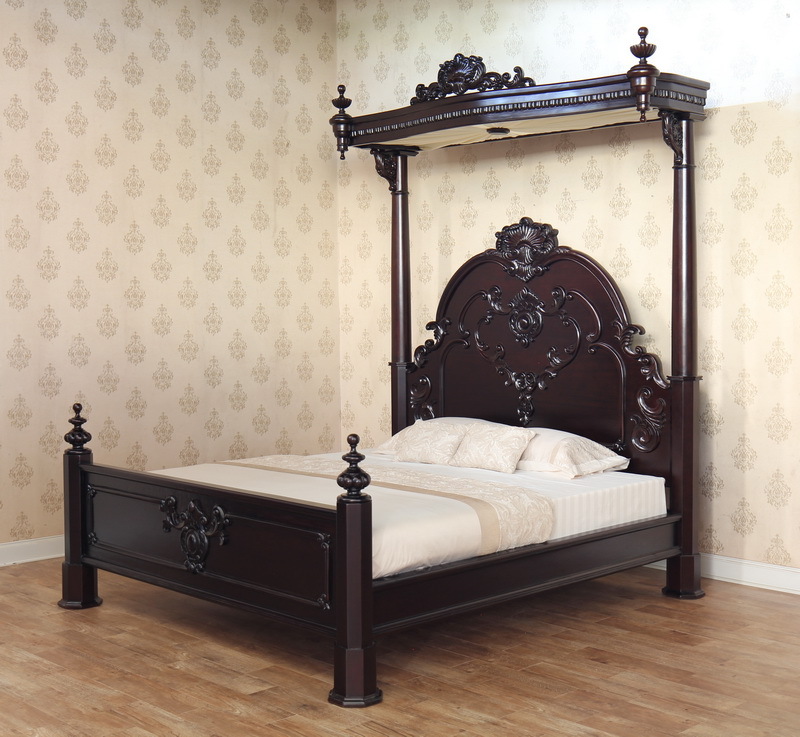 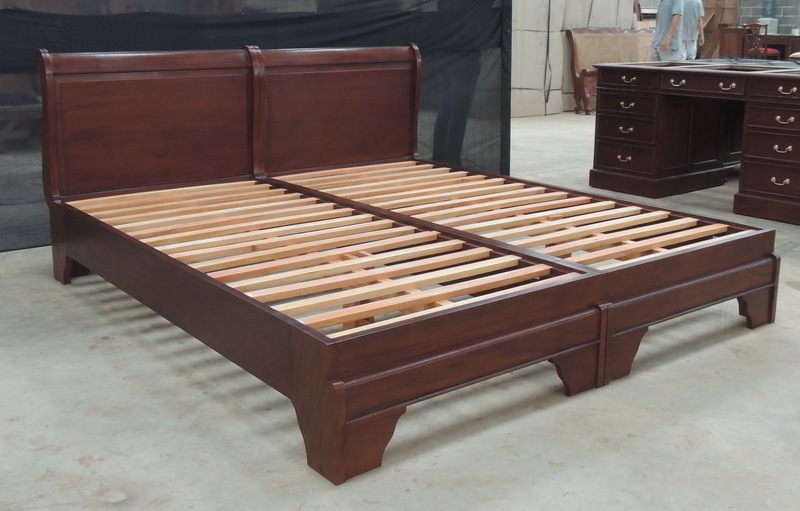 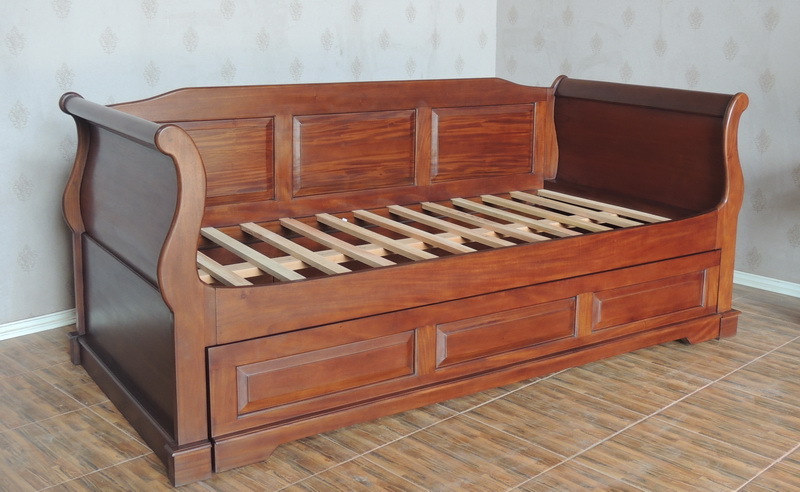 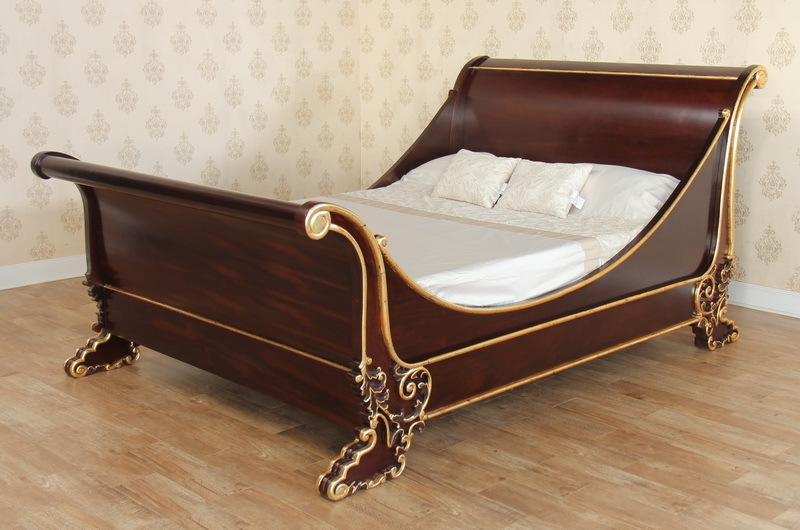 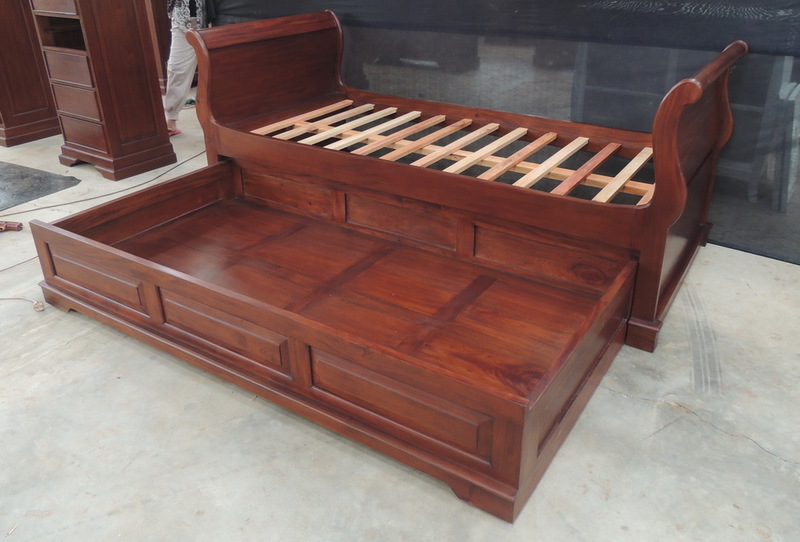 Single French Versailles Sleigh Beds (B083). 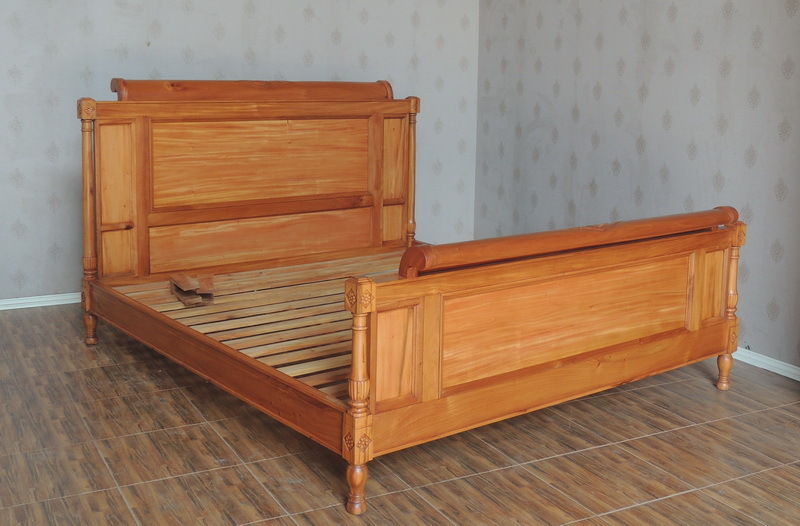 These beds were designed to fit side by side to be used in a hotel bedroom. 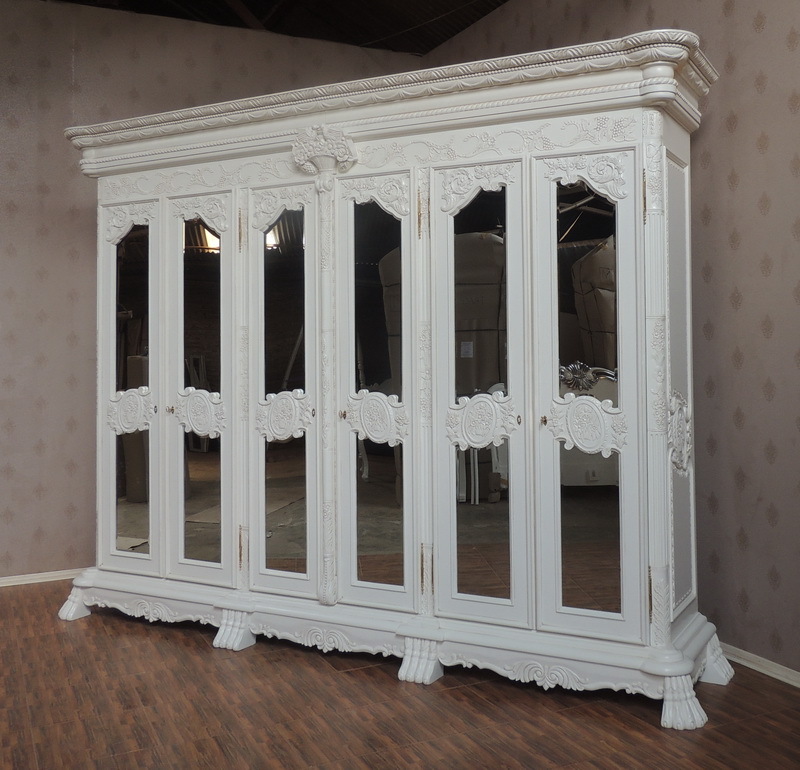 Bespoke 6 door mirrored wardrobe finished in antique white. 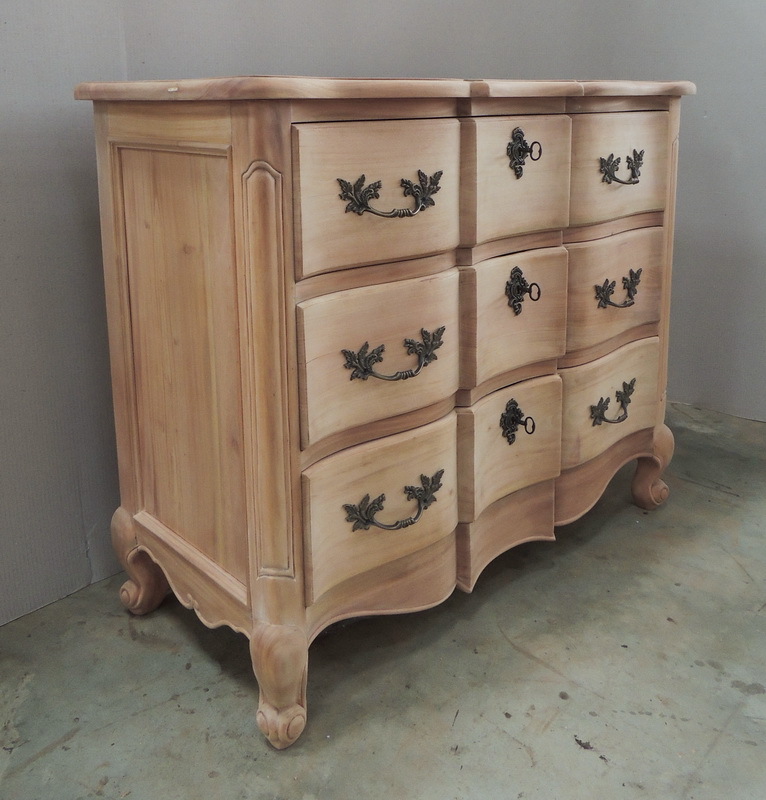 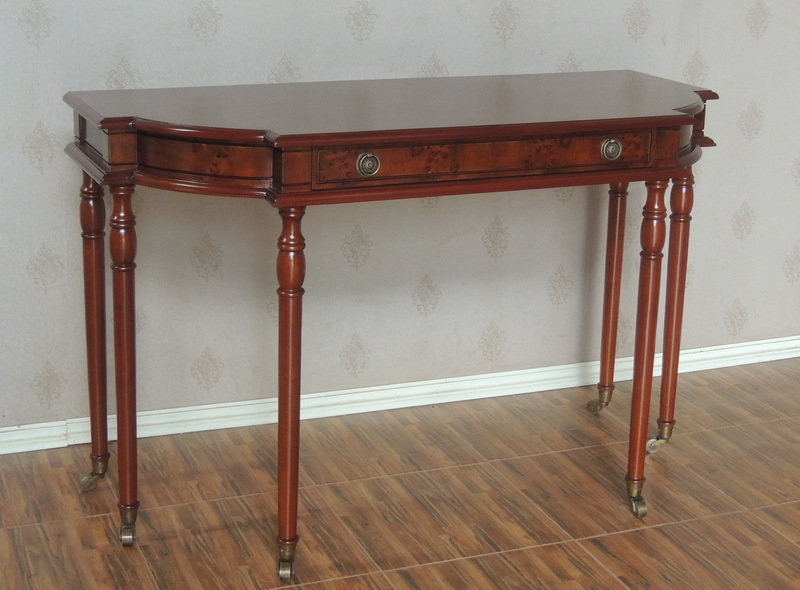 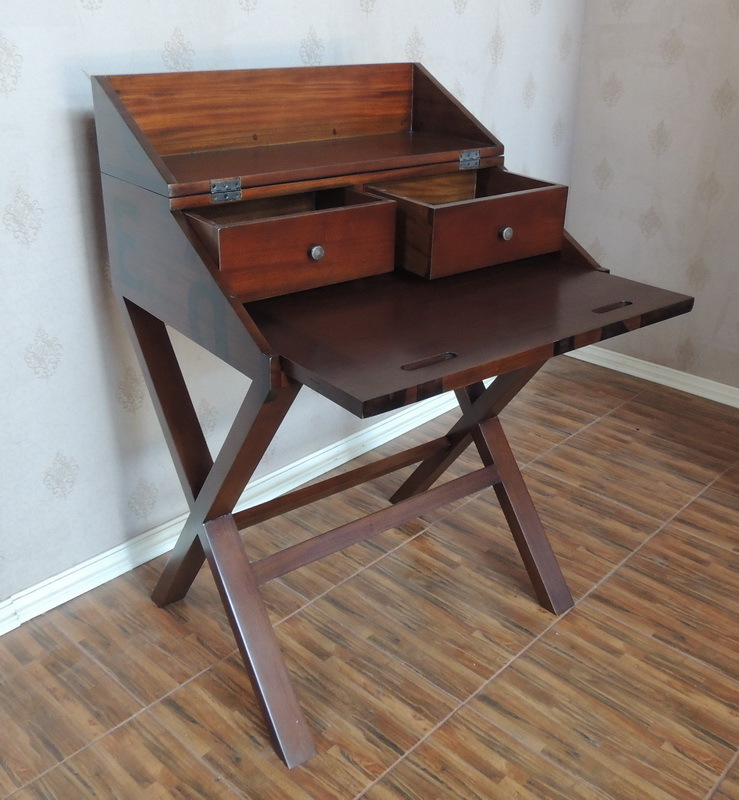 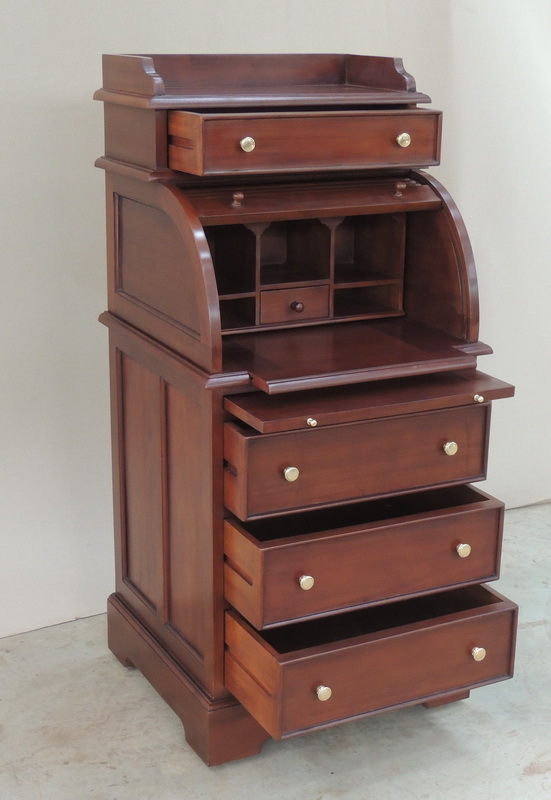 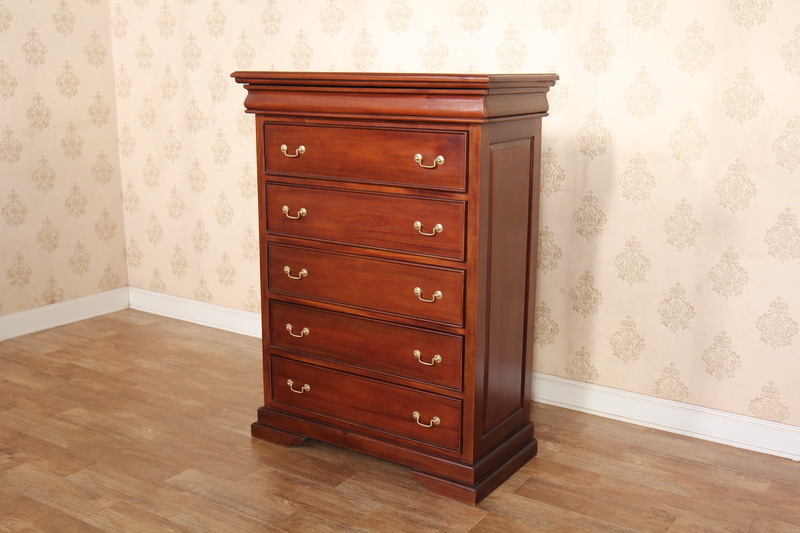 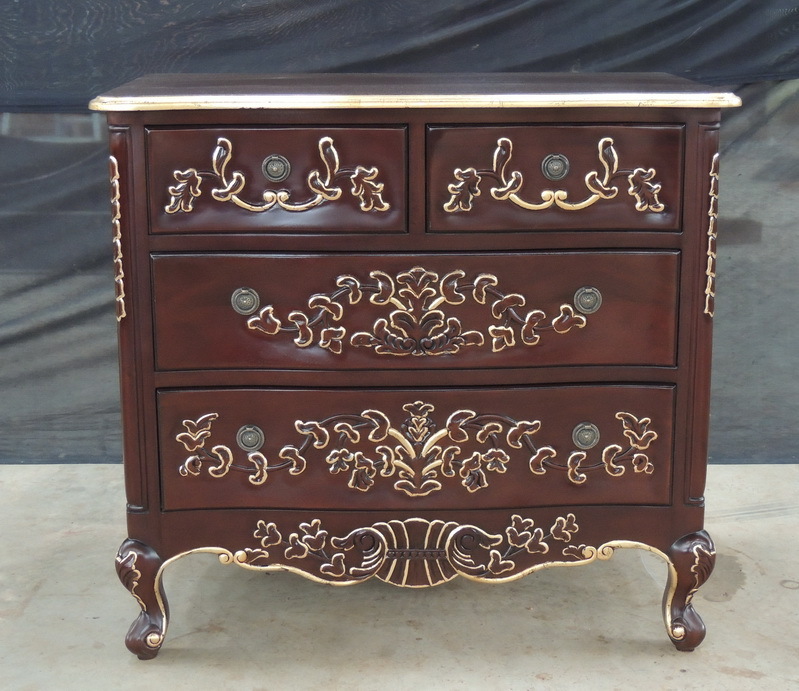 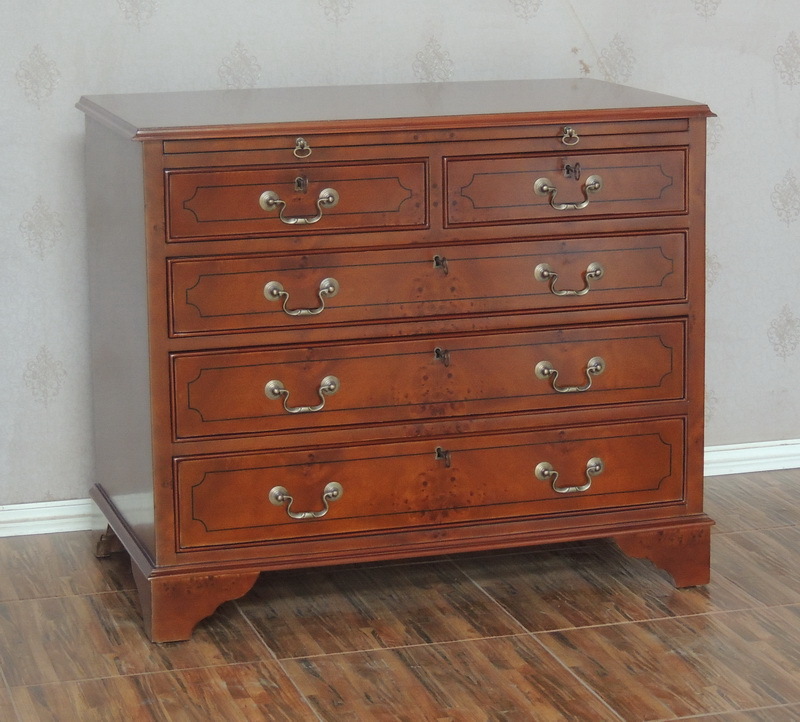 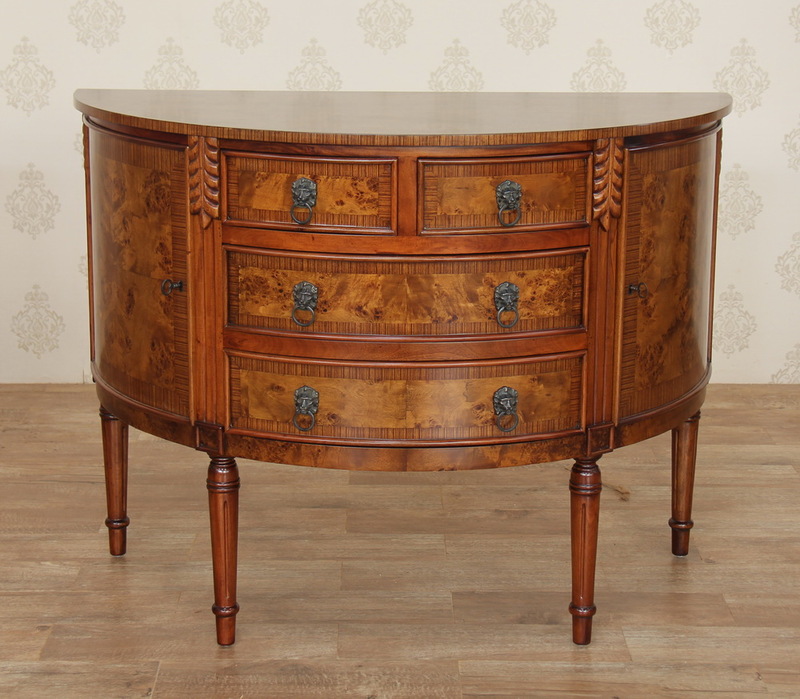 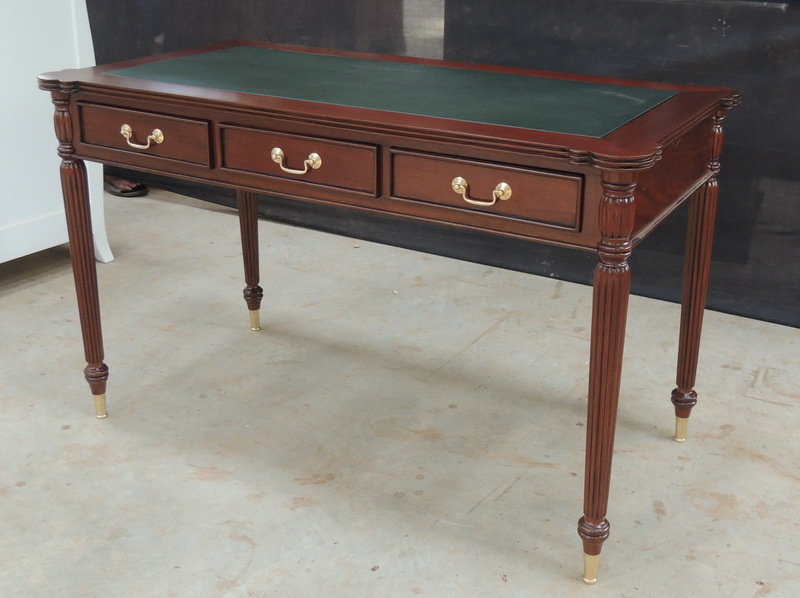 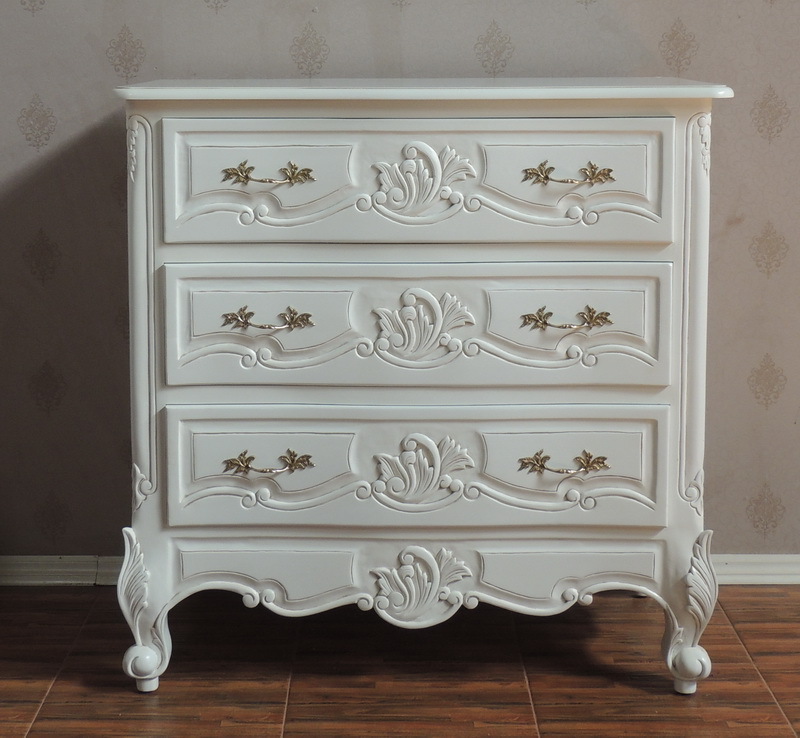 Chippendale Escritoire (base only) DSK011to be used in a hotel as dressing tables. 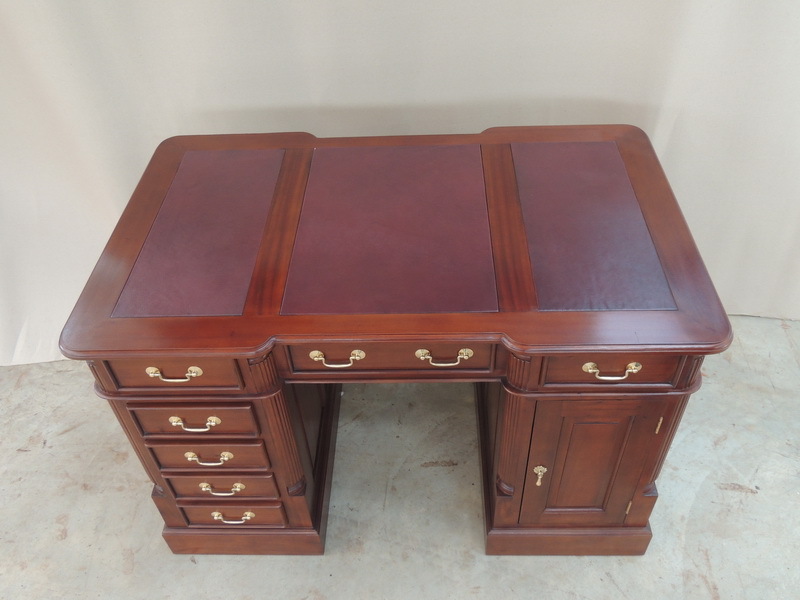 Finished with an NC gloss finish. 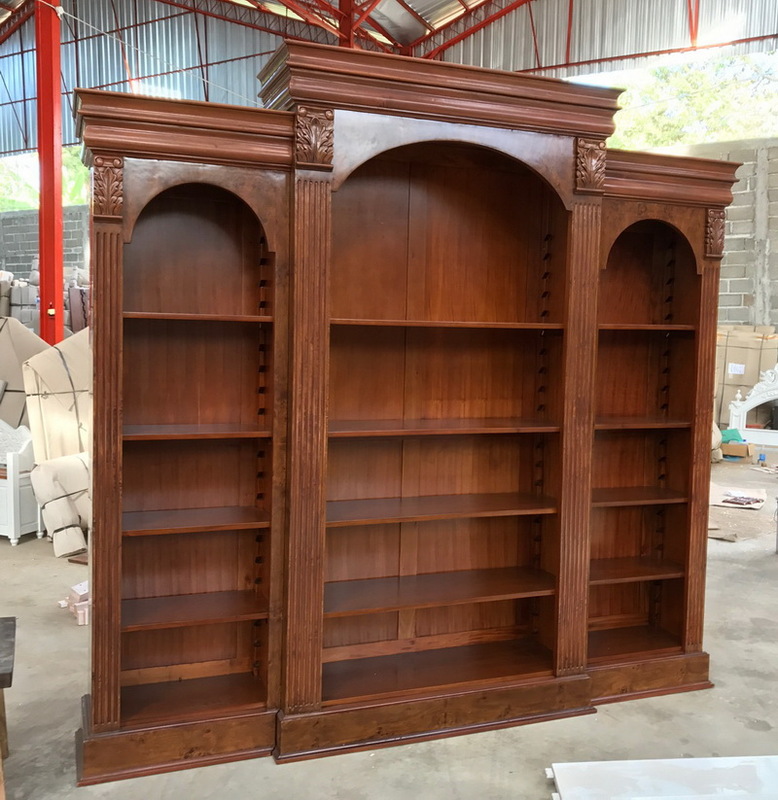 Bespoke Bookcase based on BCS012 - 3 Shelf Bookcase in a light finish. 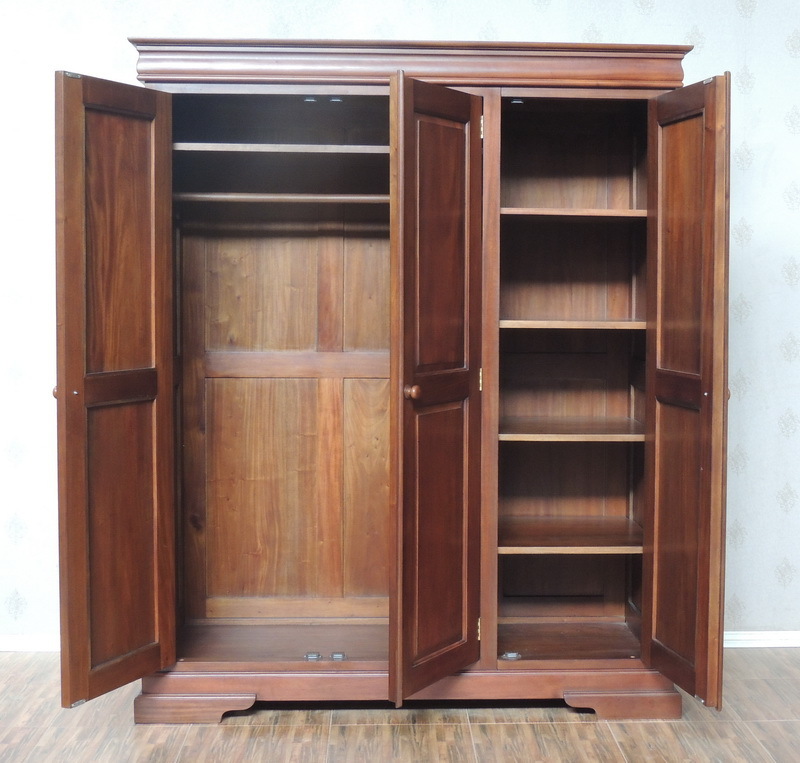 Bespoke Bookcase made to house customer's music system. 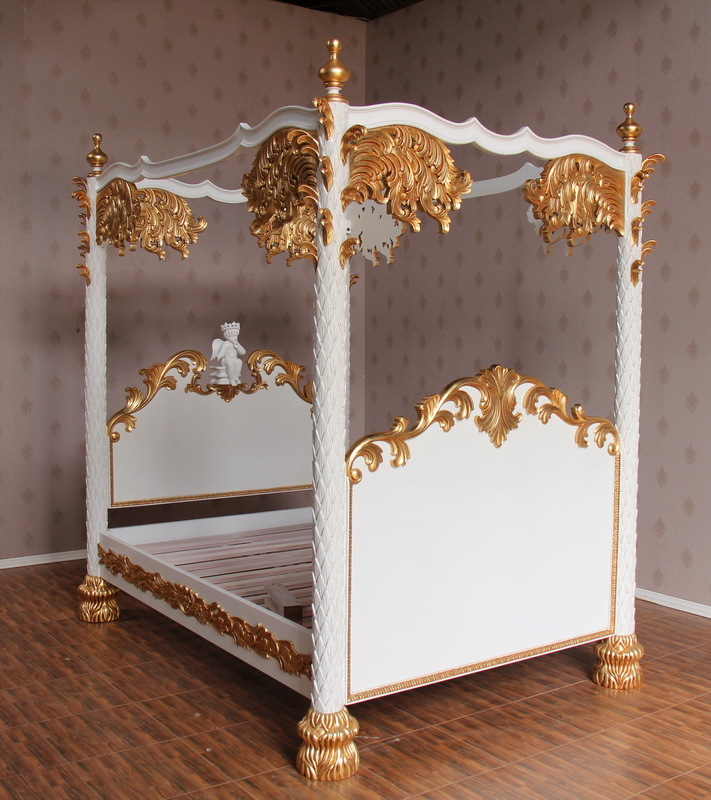 Based on BCS007. 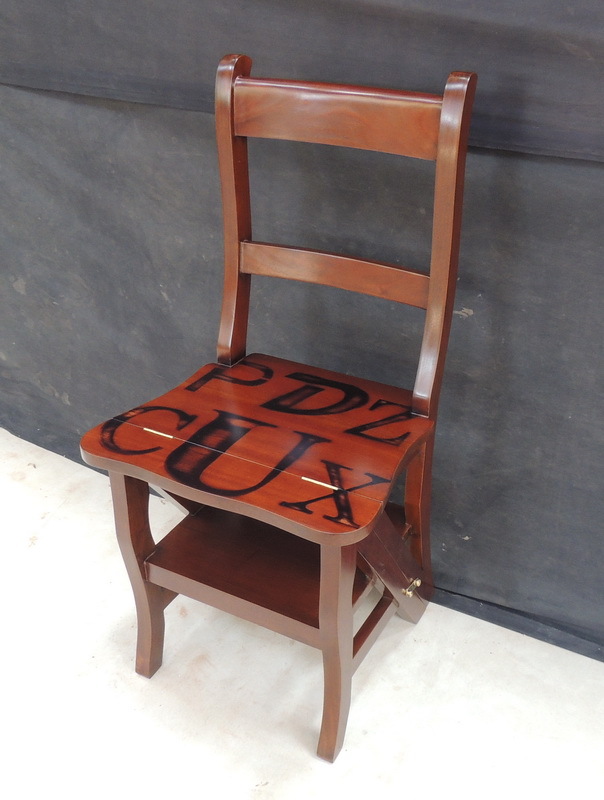 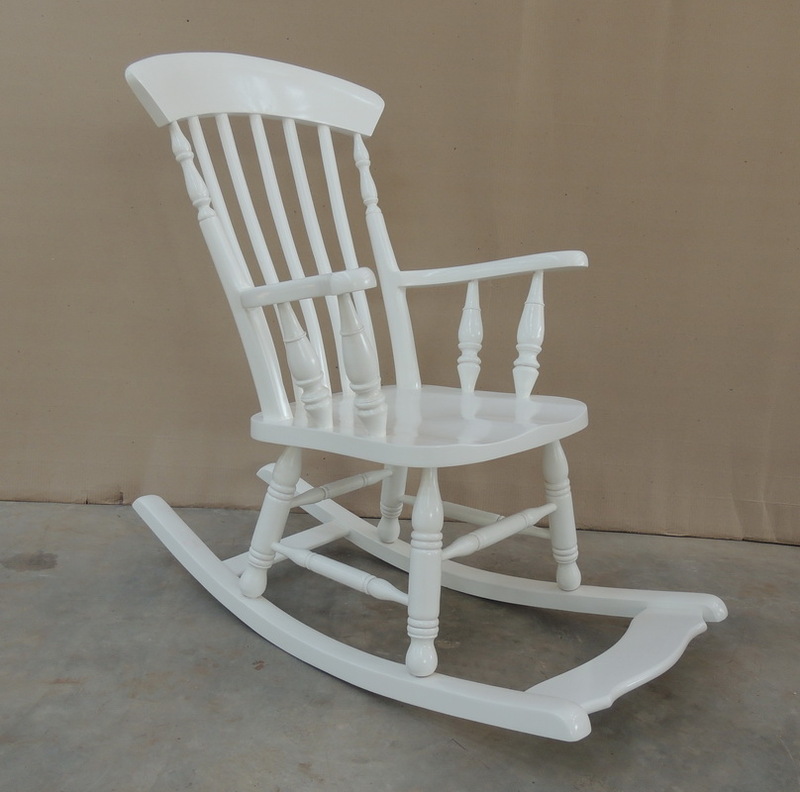 Americana folding library step chair with hand painted "letter" artwork. 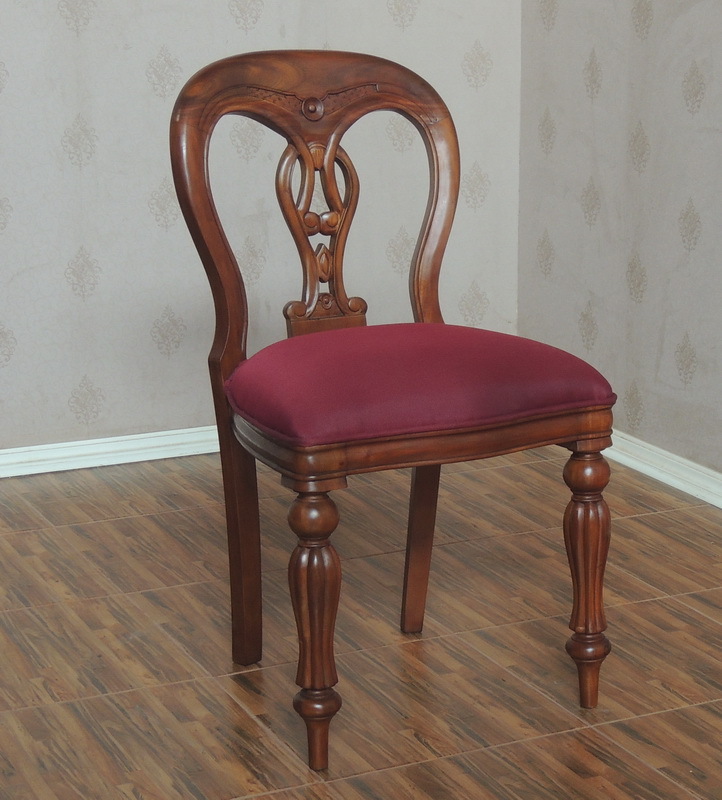 French chair and stool finished in Stain E with gold highlights. 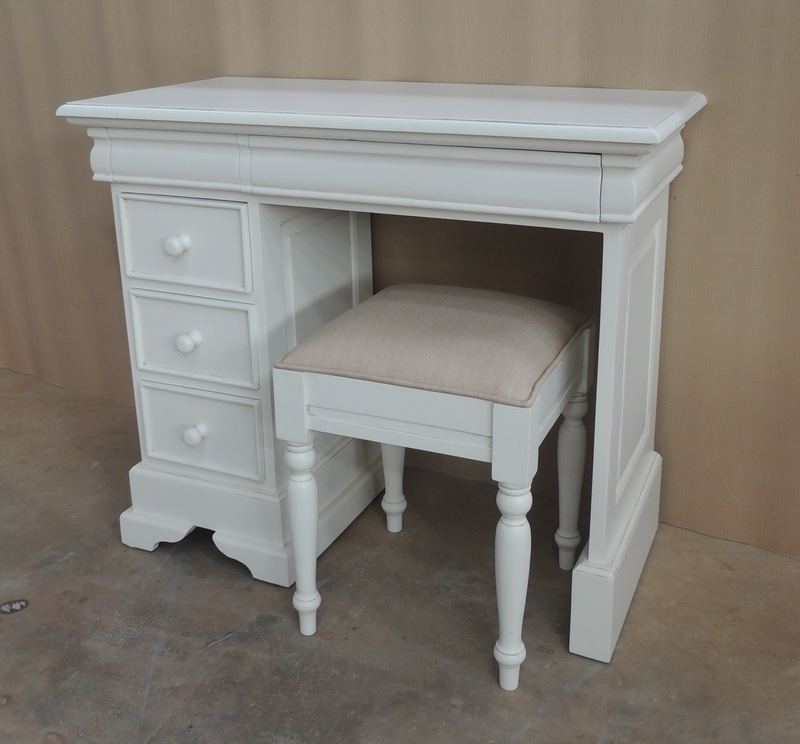 Finished in calico to be re-upholstered with customer's own fabric. 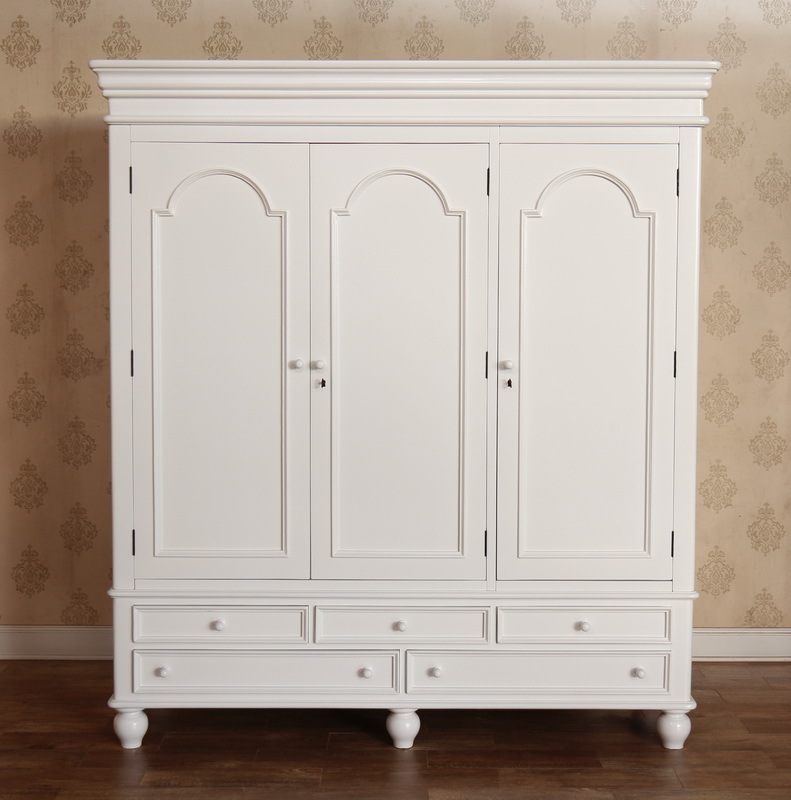 Bespoke Storage Unit finished in plain white. 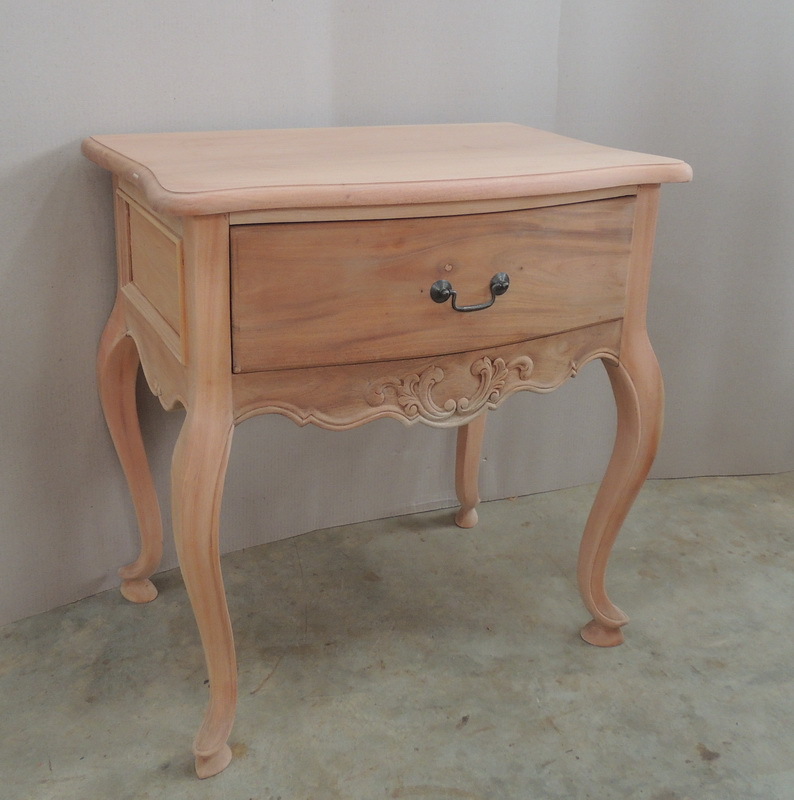 The wooden top has an NC finish. 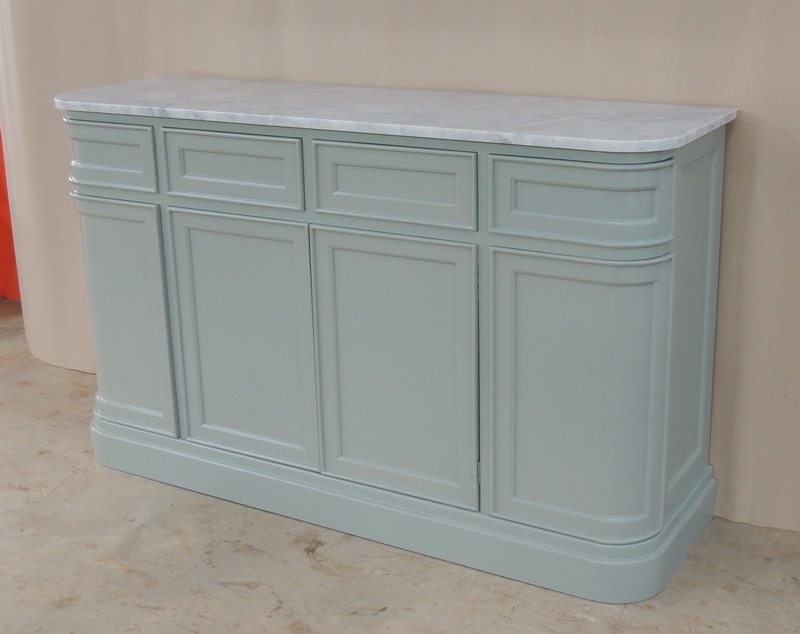 Bespoke Storage Unit finished in smoke grey with a carrara marble top.